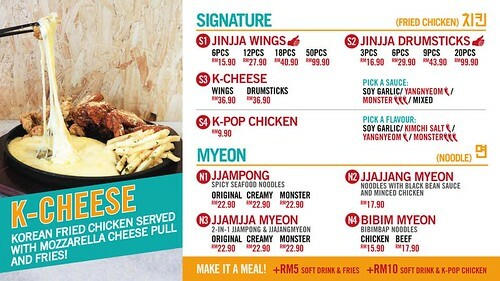 Jinjja Chicken is now available in Malaysia. So nice kan. 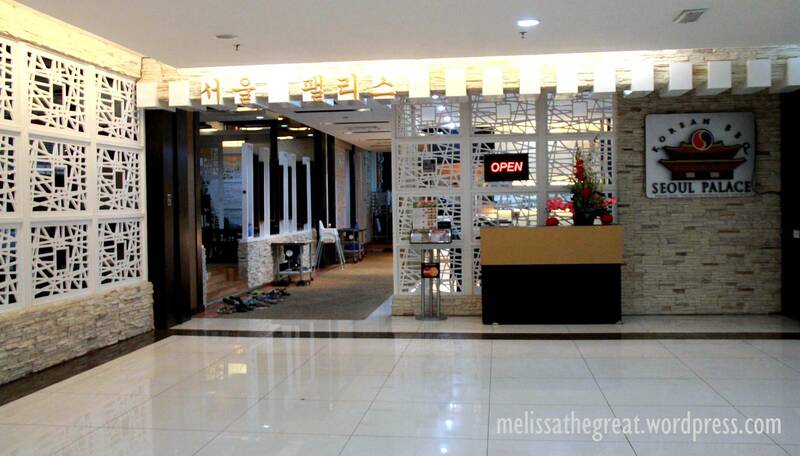 Currently, there are 2 outlets in Malaysia. At The Gardens Mall and Sunway Pyramid. 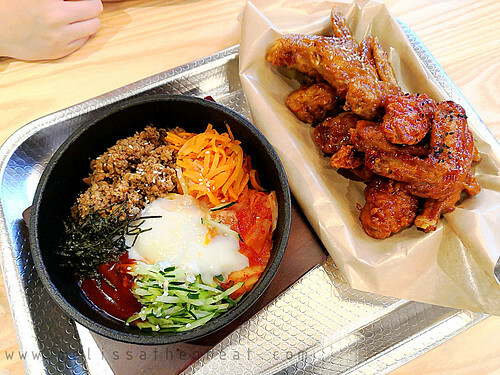 Jinjja Chicken is a Casual Korean Restaurant with fast food concept. 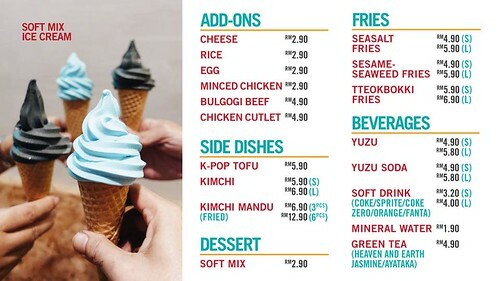 Not just fried food, but they also serve rice and noodles. The 4 pages menu is pretty simple and straight forward. No need to have headache making decision. LOL! Just like any other fast food joint, you will need to go to the order counter to make your food order and pay upon ordering. A device like the above will be handed to you. So, get back to your seat and wait for the device to beep and vibrate. Then you will need to collect your food from the ‘collection counter’. Jet wanted rice. 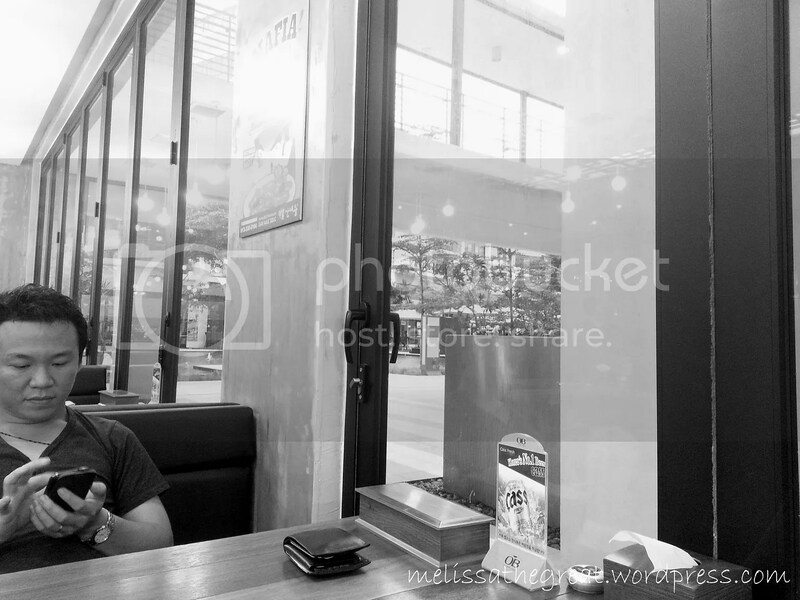 Hence I ordered Chicken Bibimbap for him. 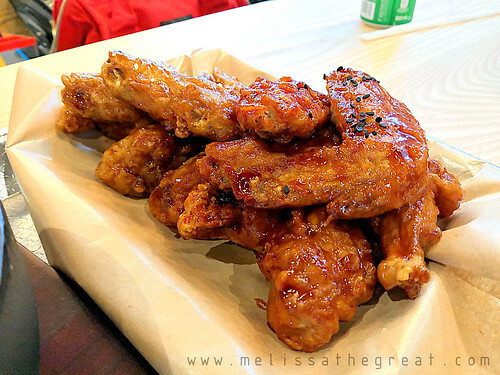 But I remove the Kimchi and Gochujang Sauce because he can’t take spicy. Surprisingly he likes it. He actually finished almost the whole serving by himself. Army Stew was good! You can opt for noodles/rice/vermicelli. The kimchi soup base was tasty. I upgraded the meal to set with additional RM5 for (soft drink + fries). 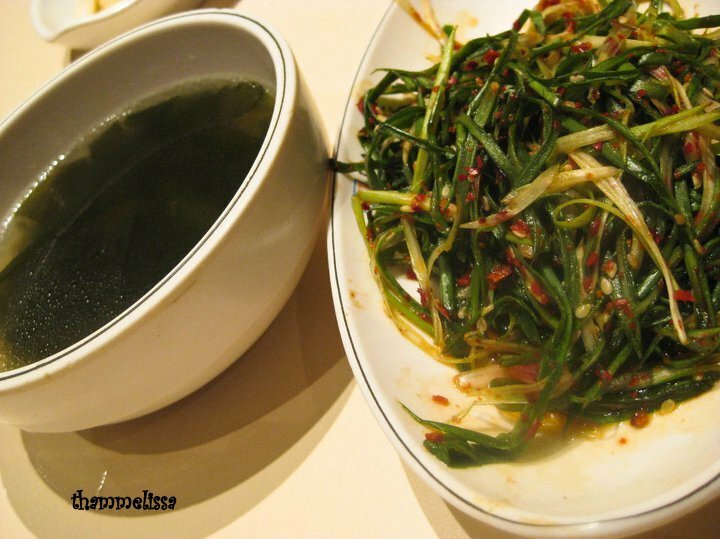 Aiyaaa….forgotten to take a photo of the Seaweed Fries which was big portion and nice. 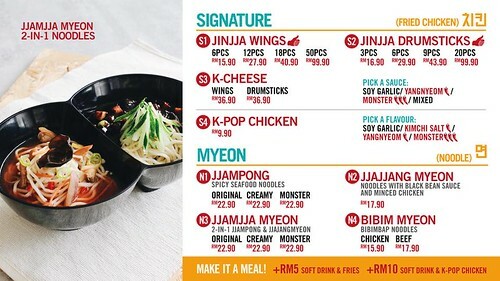 My friend had the Jjamjja Myeon (2 in 1 Jjampong & Jjajangmyeon). 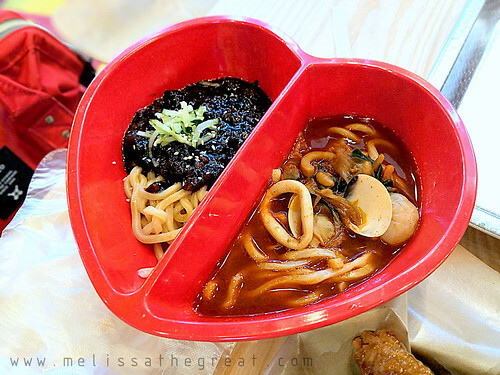 (spicy seafood noodles + black bean sauce noodles). 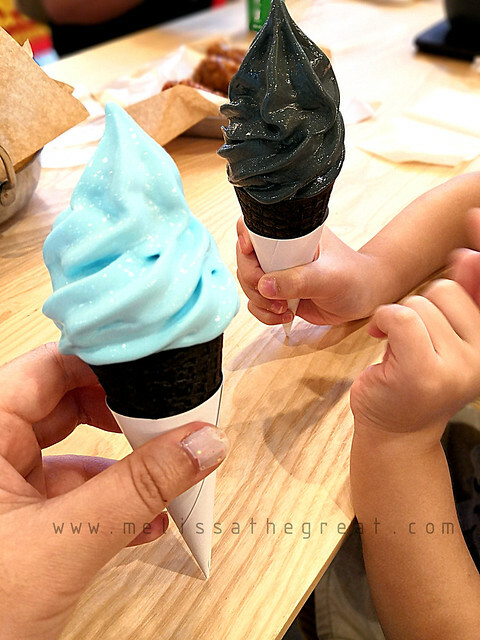 Ideal for people who would love to try 2 flavors at one go. Unfortunately my friend claimed it was abit too salty. Its has been raining non stop for 2 days 2 nights. 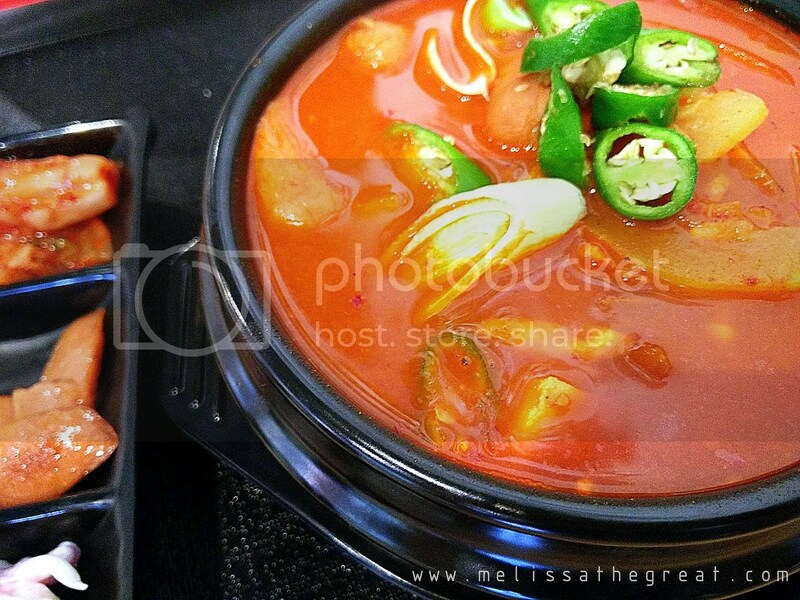 On such cold weather, I would love to have a bowl of spicy and hot soup or food to keep me warm and cozy. 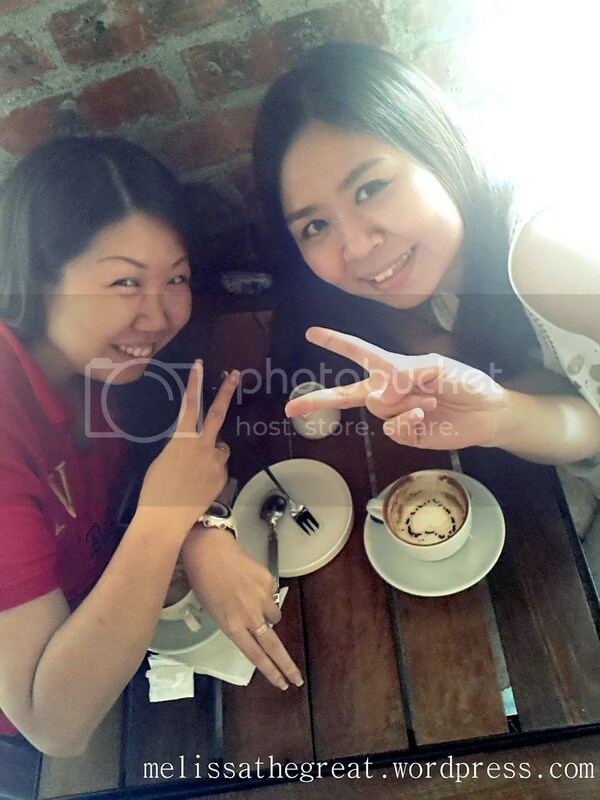 When my Uni mate, Ssu Ee was in town for work, I brought her to this newest franchised cafe in Seremban. 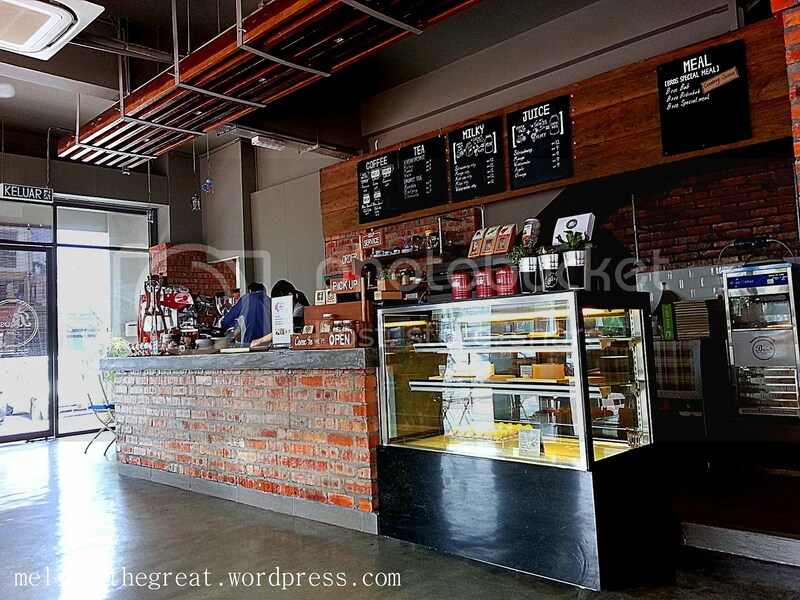 Namoo Grey is a Korean cafe located at Seremban Gateway, not far from the Seremban toll. 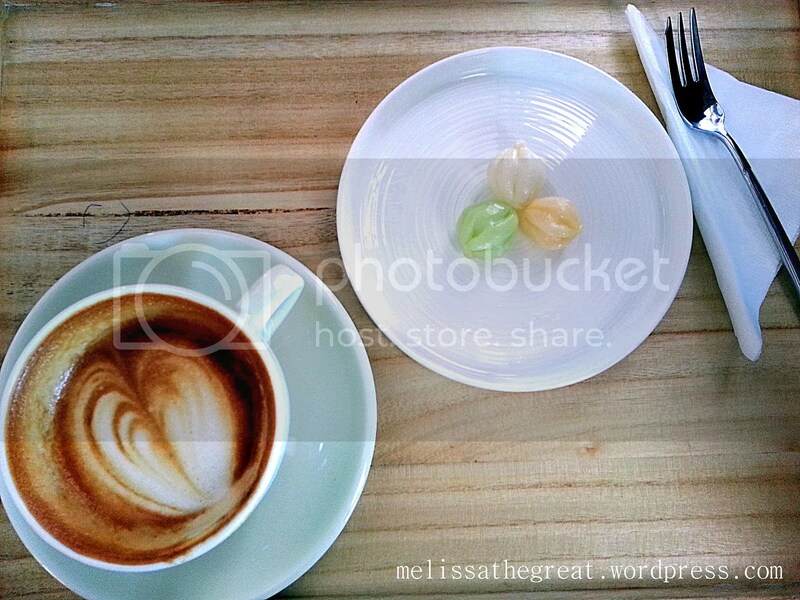 A modern concept kind of Korean cafe. 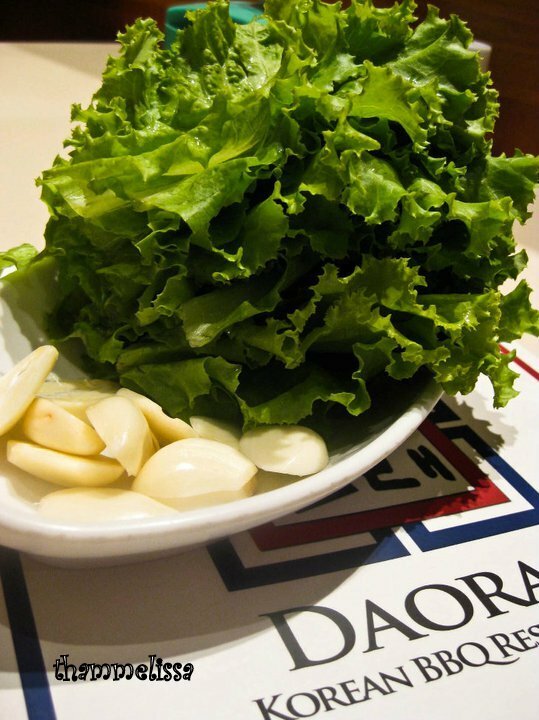 NAMOO, which means ‘tree’ in Korean, was founded on a deep-rooted that good food should be fresh, natural and timeless. The Korean fever will never end. 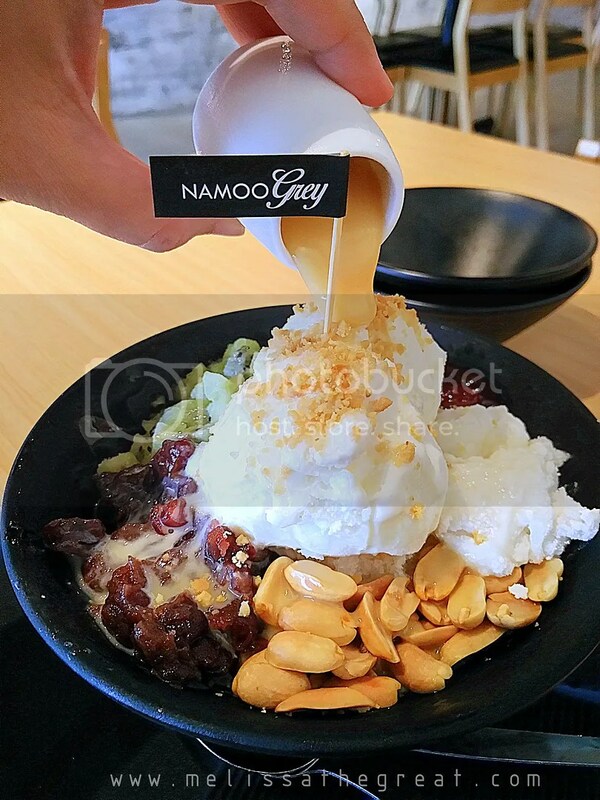 At Namoo Grey, they have an extensive menu, from rice to noodles, burgers, pastas, korean pancakes, cakes and Bingsoo. 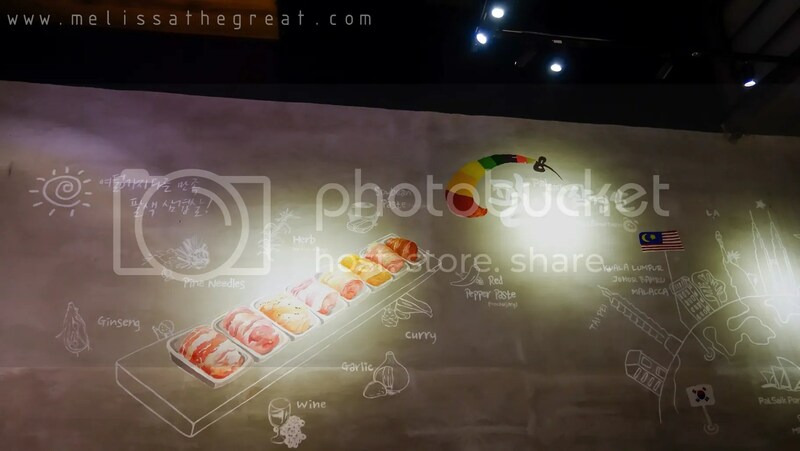 Besides that, Namoo Grey is also a halal cafe. 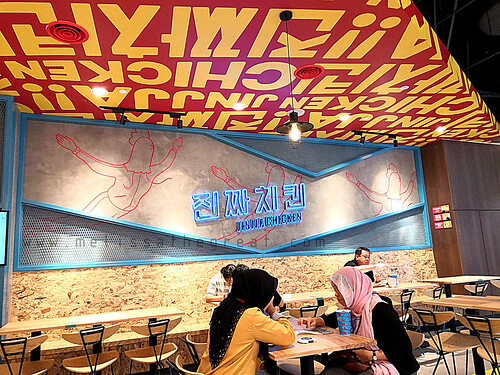 Therefore to my muslim readers, here’s the place for you to savor some halal Korean food. Simple yet cozy environment with some Korean songs played in background. 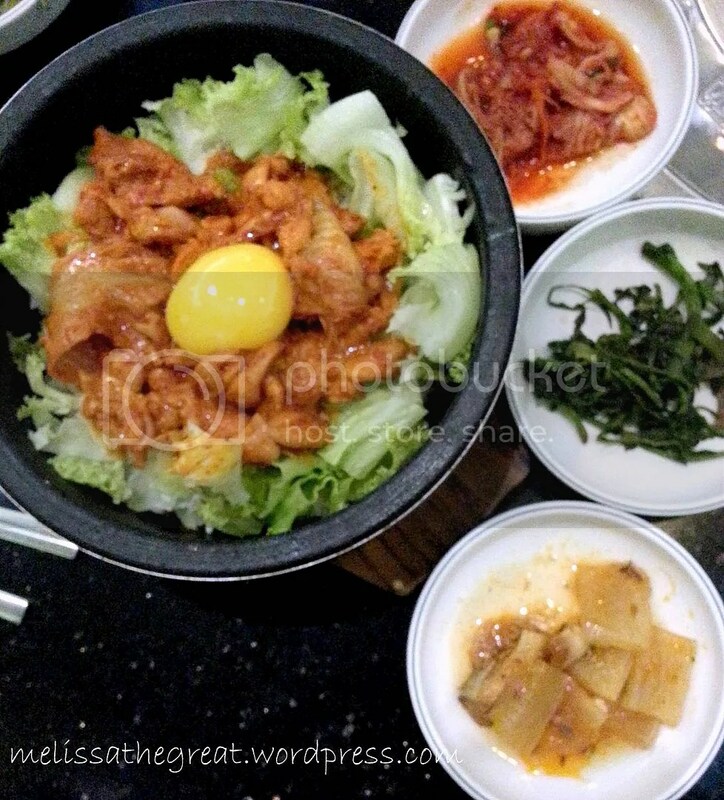 The Kimchi Jigae comes with a bowl of rice and some condiments or we called it banchan in Korean. 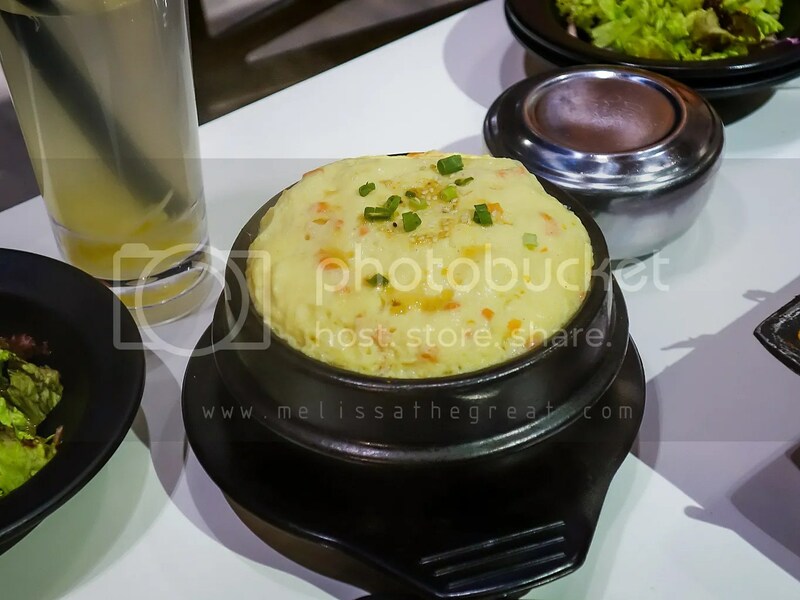 Rice burgers, probably one of their specialty. 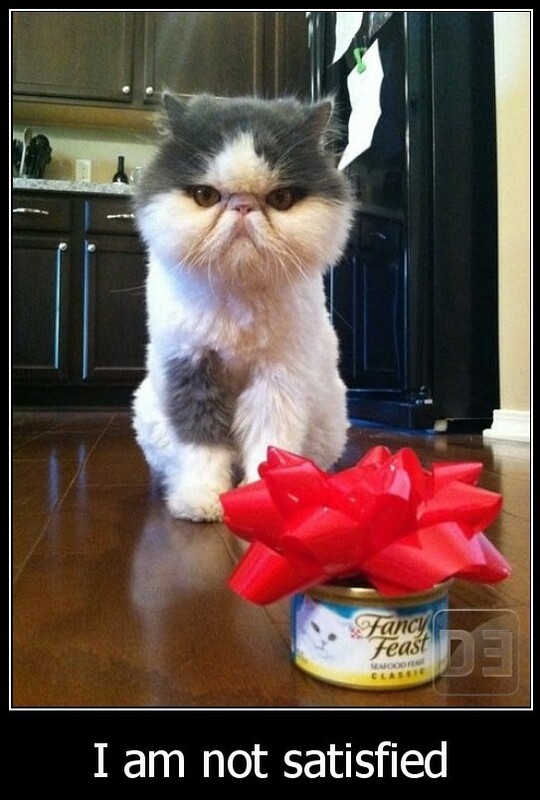 But I wasn’t in the mood of eating that. 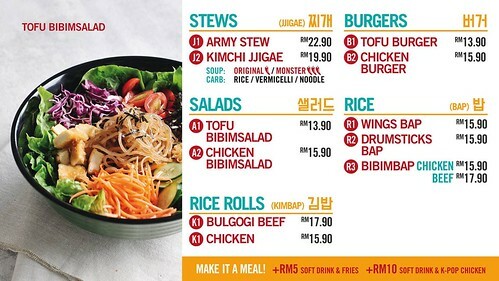 So I end up ordering Tuna Kimchi Ramyeon – RM18.90. 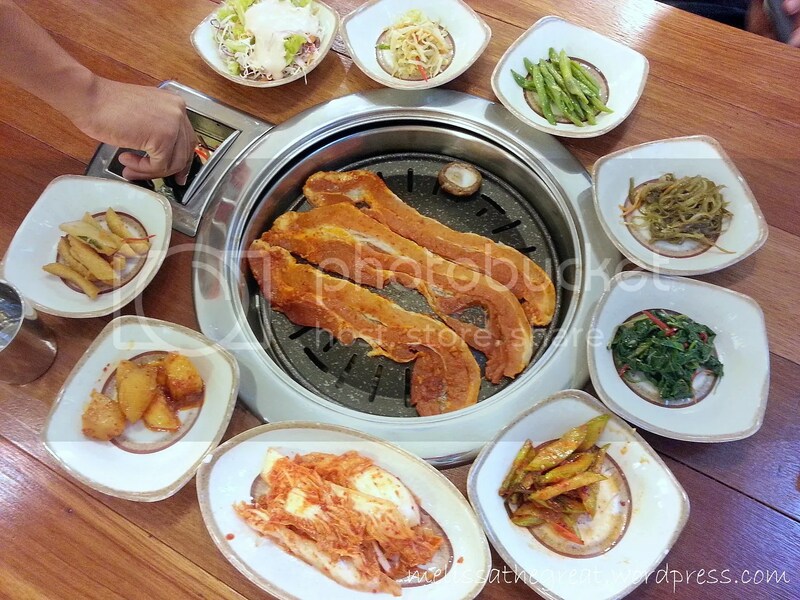 It also comes with 3 side dishes of sausages, coleslaw & kimchi. The noodles were cooked al-dente. 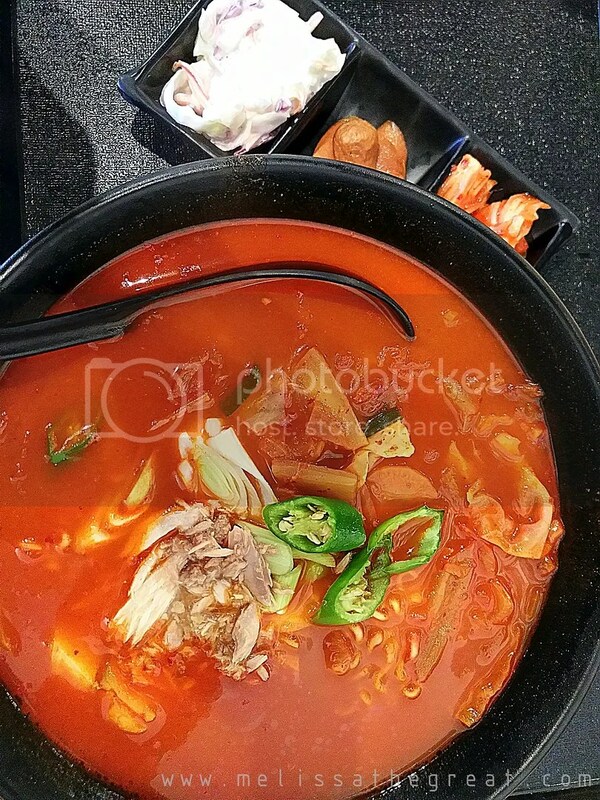 Kimchi soup has the ohhmmpp of spiciness but wasn’t quite satisfied with the amount of tuna meat in it. Would prefer to add a lil more to enhance the soup flavor. A meal wouldn’t be complete without a dessert. 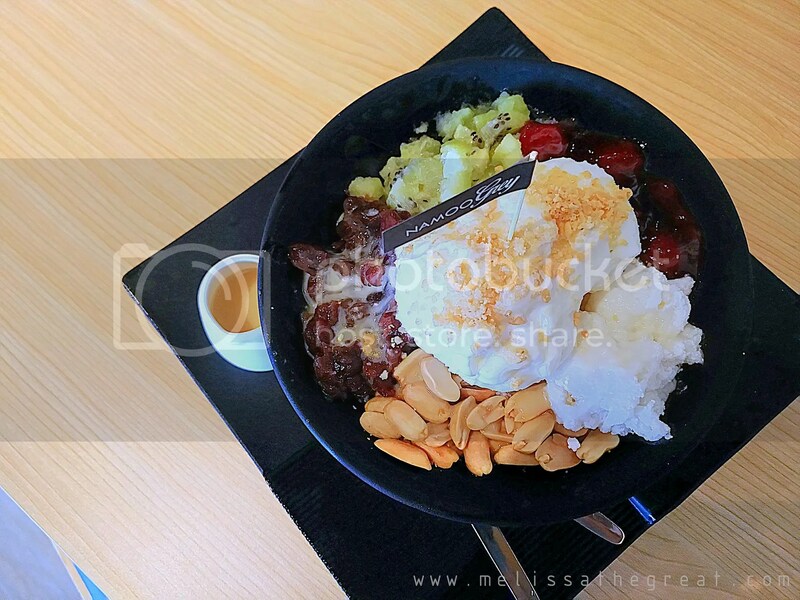 We chose The King’s Bing Soo – RM18.90 (image of me pouring the condensed milk into the bowl of shaved ice dessert) Bingsoo is a Korean shaved ice dessert with sweet toppings such as chopped fruit, condensed milk, fruit syrup, and Azuki beans. 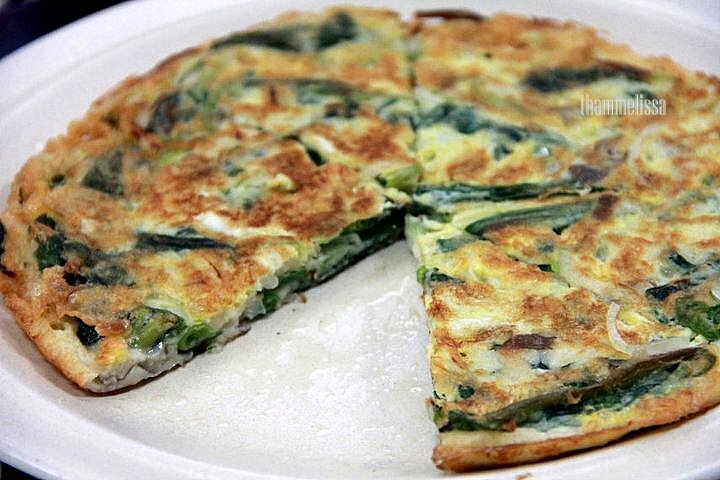 The snack is highly popular in Korea. It was nice. The ice were quite smooth. The shaved ice topped with kiwi, strawberries, azuki beans, crunchy peanuts, tteok (Korean rice cakes made with glutinous rice flour) and a scoop of ice cream, which is ideal for sharing and best to be eaten during a hot day. 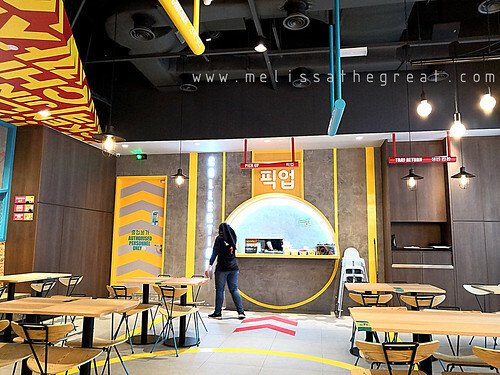 I noticed the blooming numbers of Korean cafe in Klang Valley. 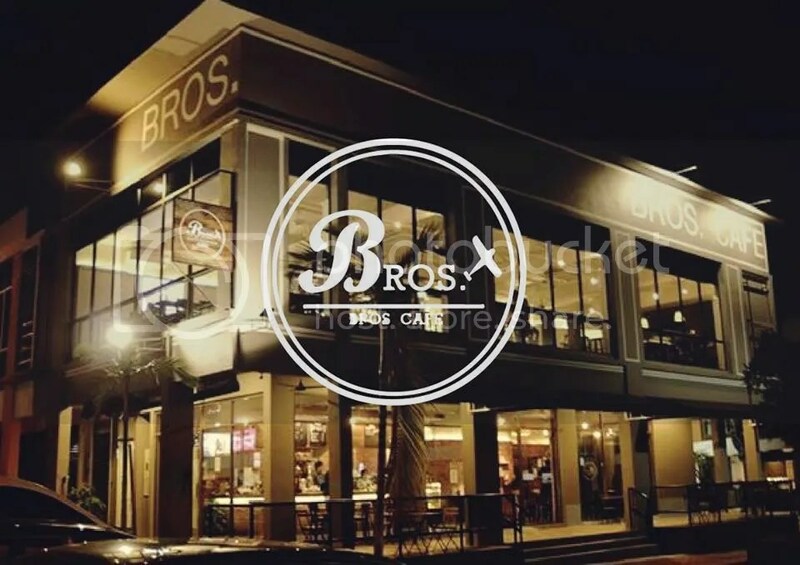 Bros cafe occupying both ground and first floor of the building, strategically located at Uptown Avenue, Seremban 2. Merely 10 minutes drive after the Seremban toll exit. 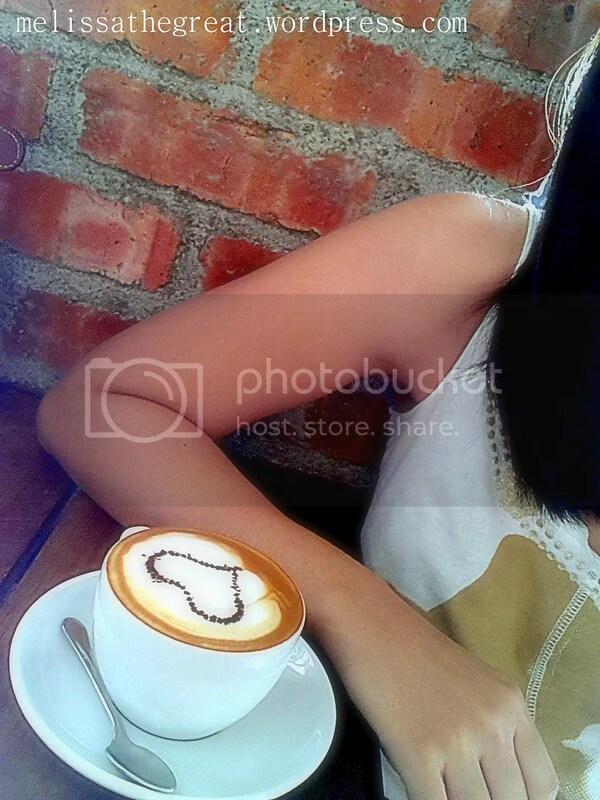 I visited this cafe on 2 different occasions. 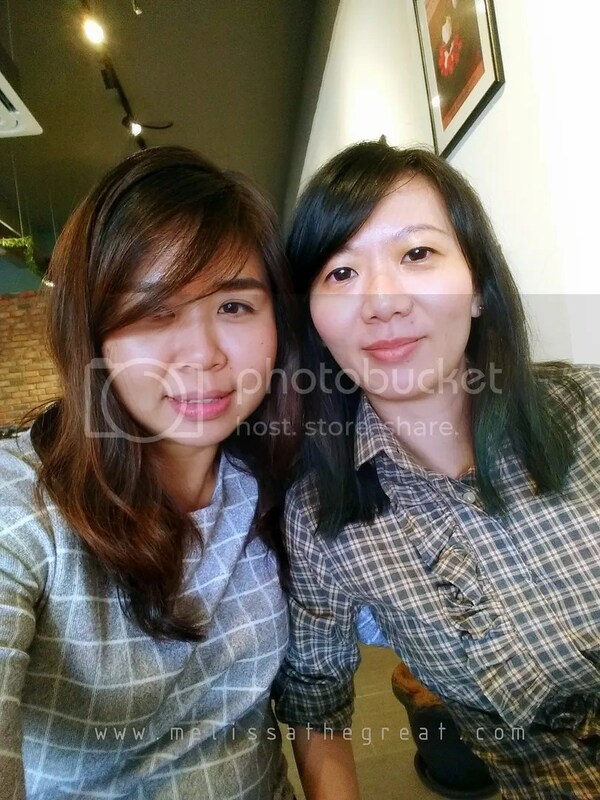 First visit was with my schoolmate@buddy, Wei Chi for a tea break. Self service and only *cash term. Orders are separated for ground and first floor. 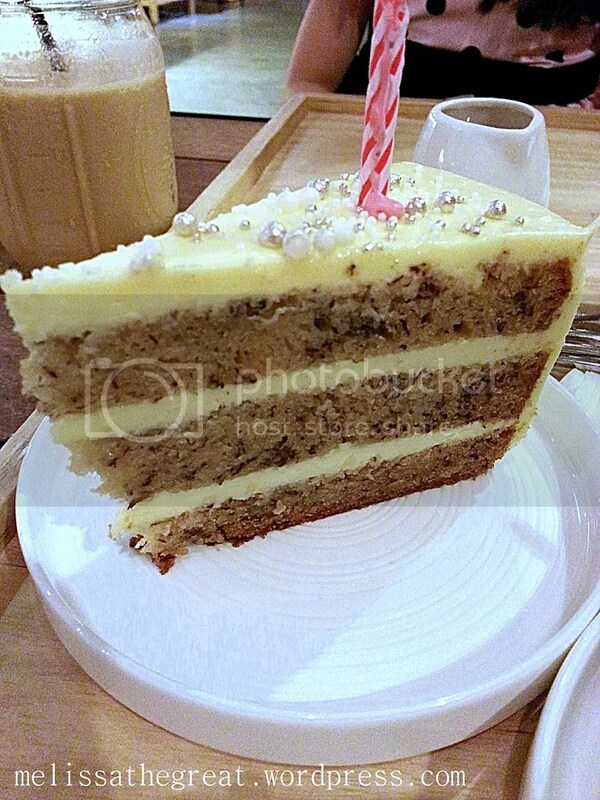 Cakes and drinks, you’ll have to place your order at ground floor. 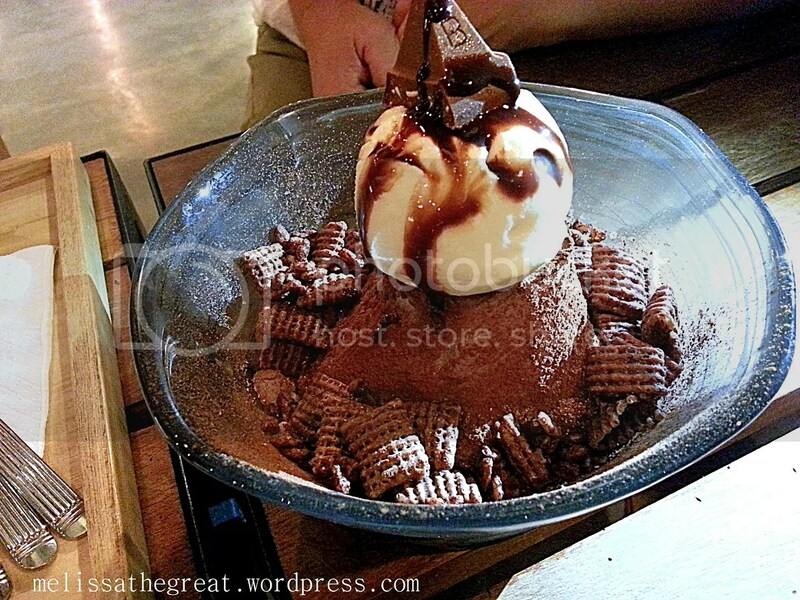 While for desserts/ bingsoo you gotto order it upstairs. Which I felt its quite troublesome. 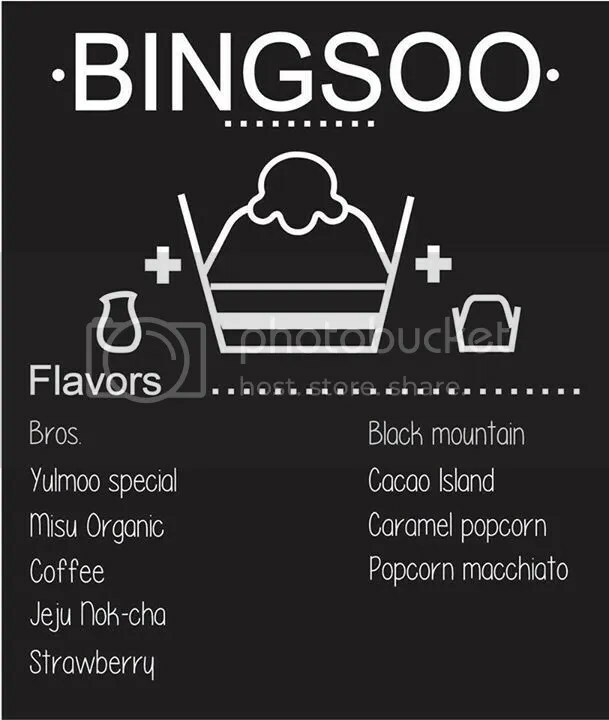 Imagine carrying the tray of bingsoo walking down the stairs. Luckily I didn’t roll down the steps. LMAO! 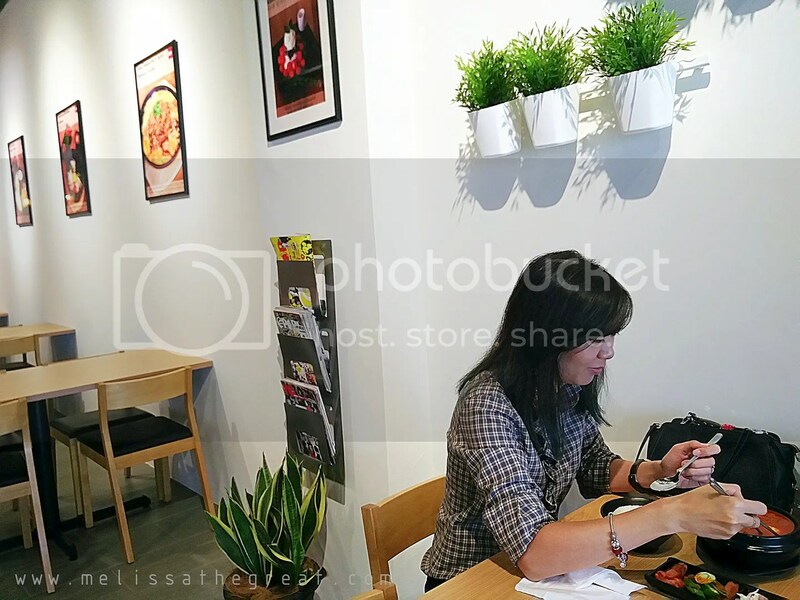 The upstairs counter to order bingsoo. The all round windows made the cafe look bright and spacious. some deco on the counter. 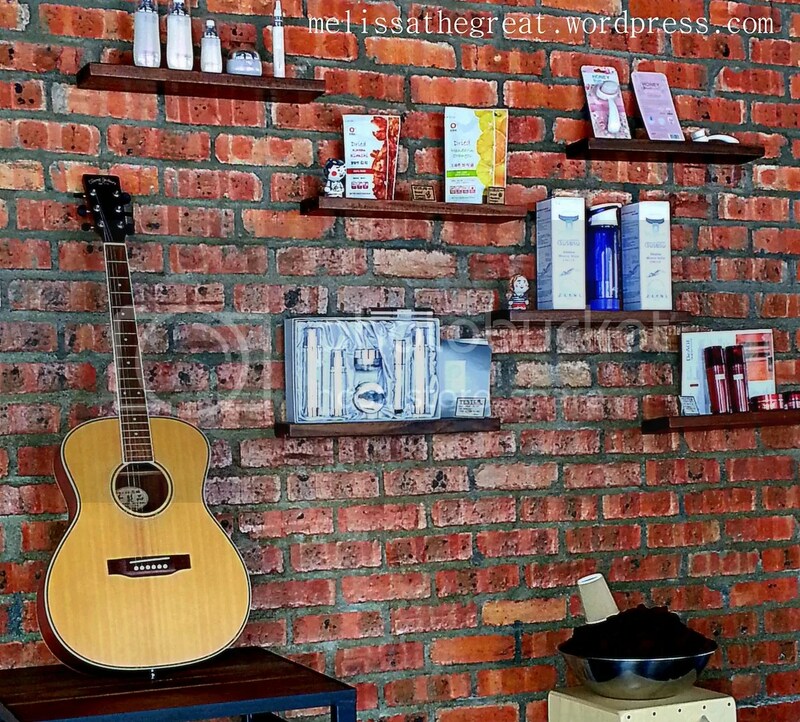 A guitar for display and some Korean products for sale. 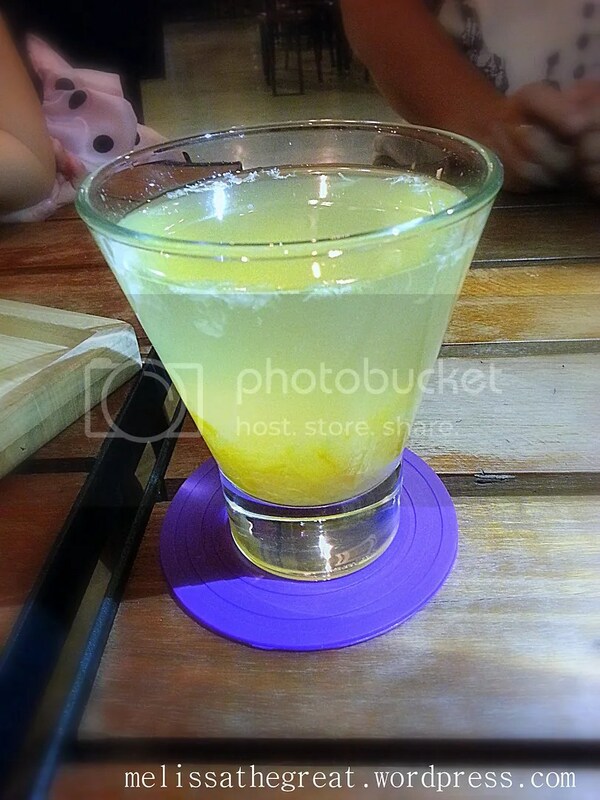 The kind waitress gave up some colorful glutinous rice to go along with the drink. 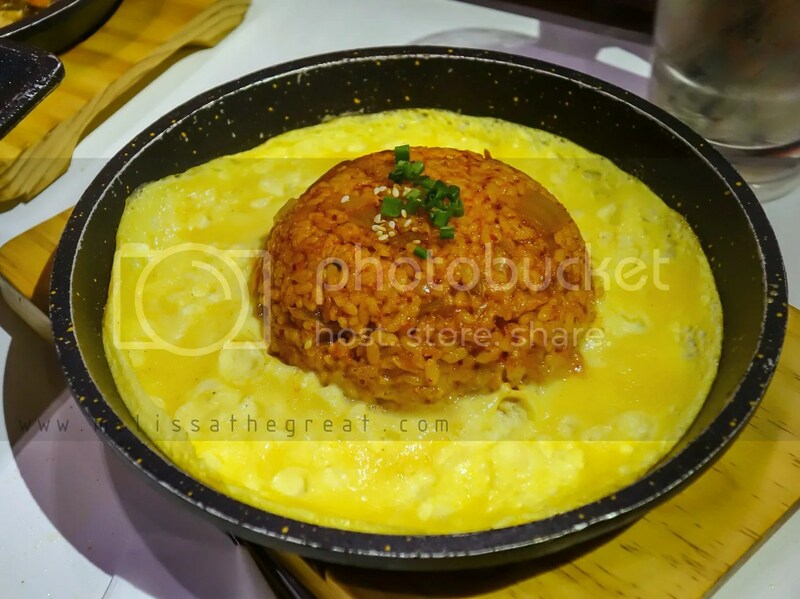 Bingsoo is a signature dessert in a Korean cafe. So we decided to order one and to share the serving. I couldn’t decide which flavor to choose…the waiter recommended this Strawberry (RM20). 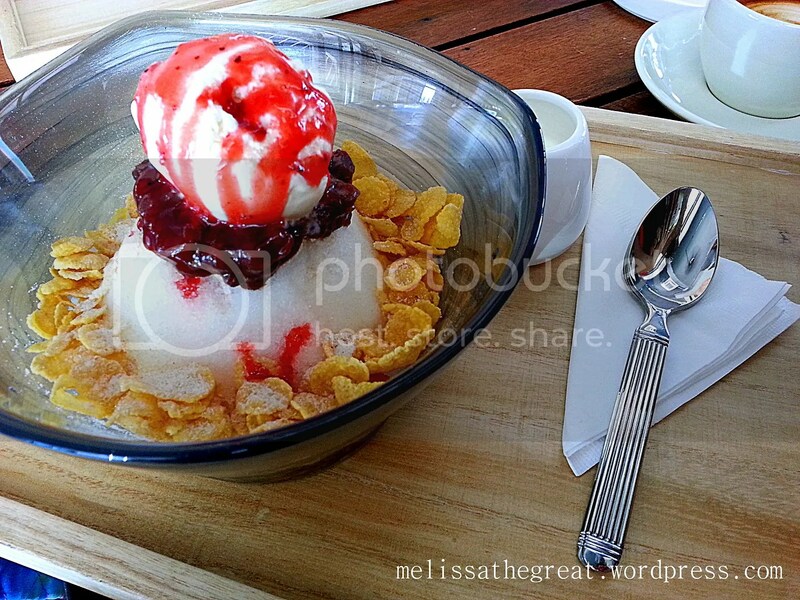 Snow ice mountain dish topped with cornflakes, red bean, and Haagen-dazs vanilla ice cream with glaze of strawberry syrup. 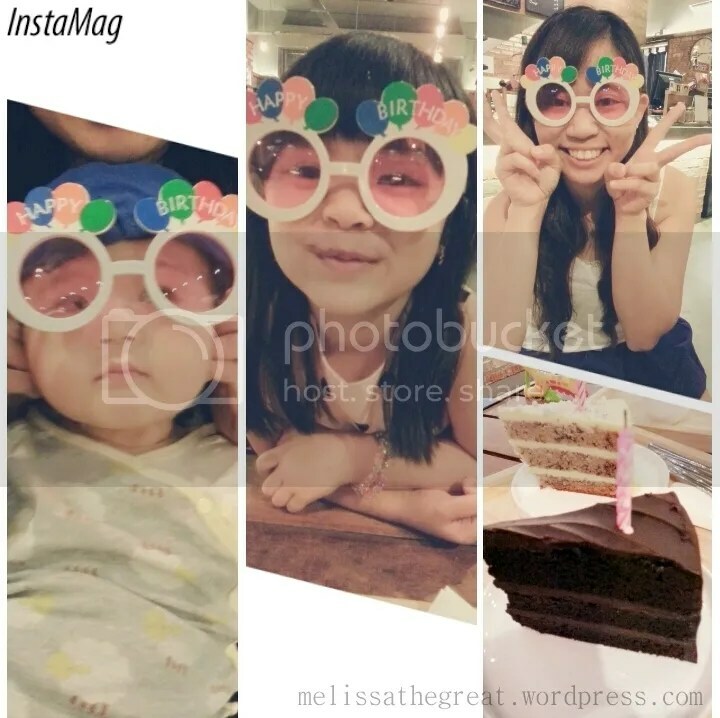 On a different occasion, I visited Bros cafe for the 2nd time during my sister’s birthday. 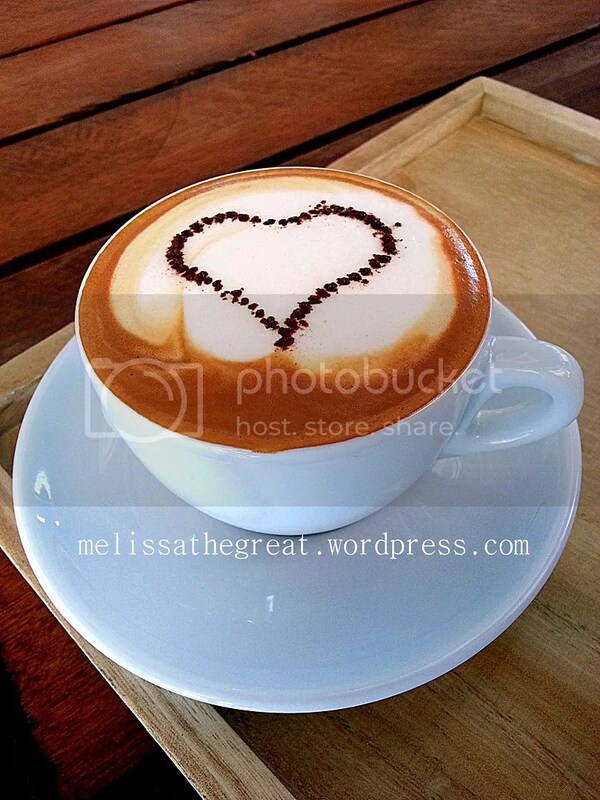 Dislike coffee? 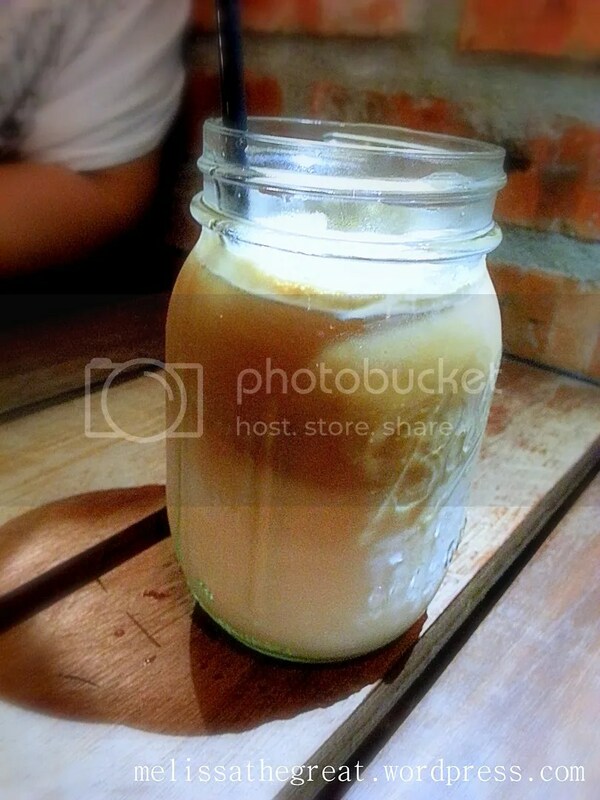 Perhaps you can go for Yuja Tea(RM9). A traditional Korean tea (herbal tea) made from the citrus fruit yuzu. 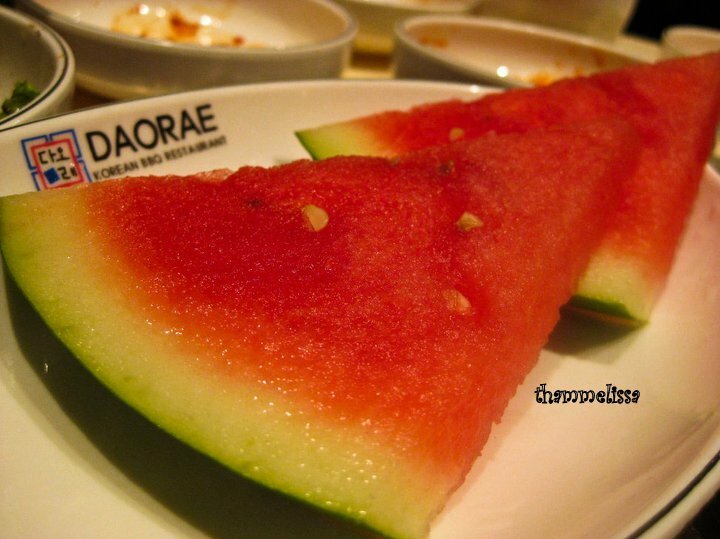 Yuja (유자) fruit is thinly sliced with its peel and combined with honey or sugar, prepared as fruit preserves or marmalade. 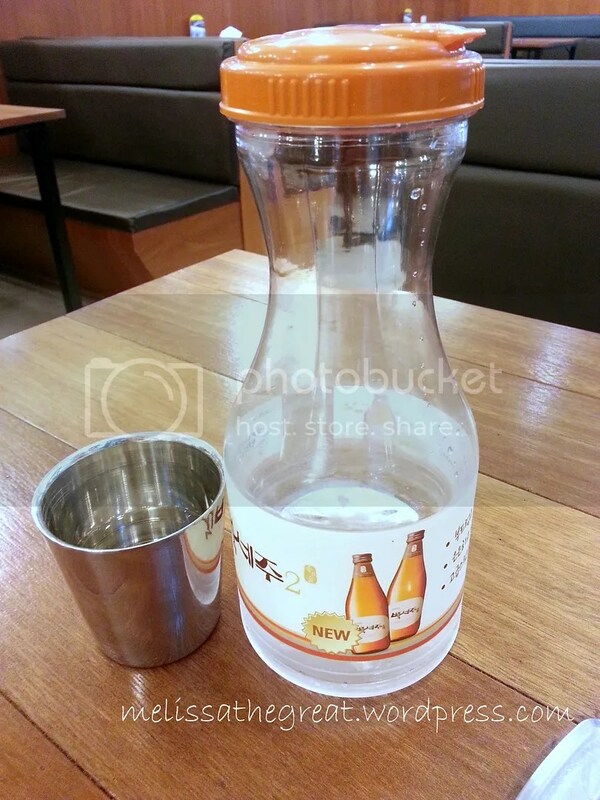 Nok-cha (green tea) is organic one all the way from Jeju Island, Korea. 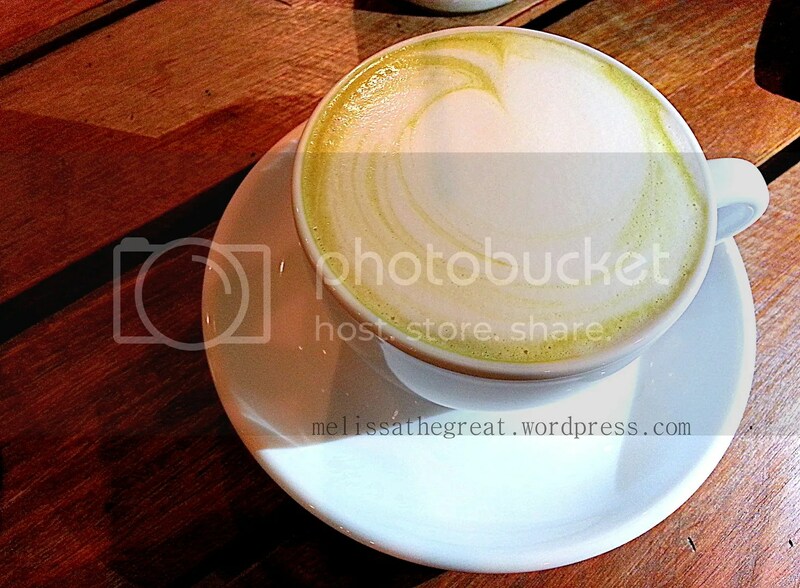 Its milky, creamy hence rich green tea taste for green tea lovers. 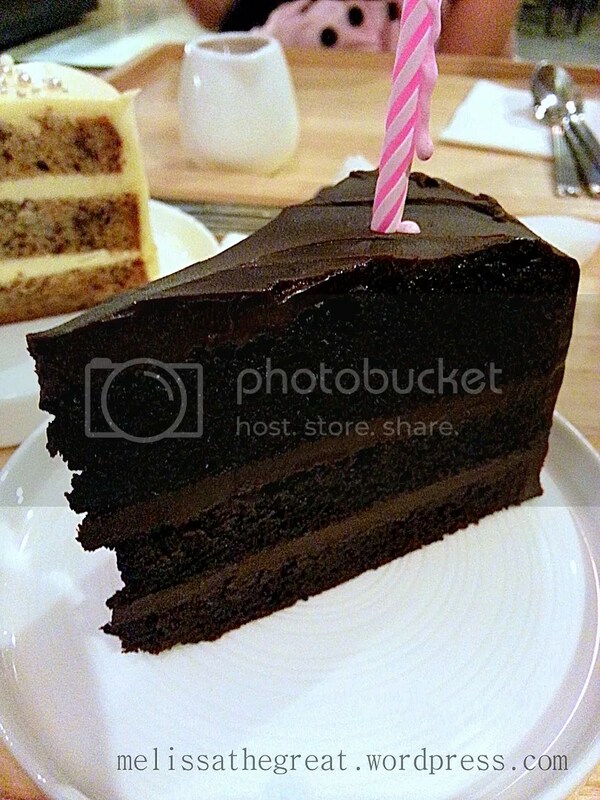 Cakes for the birthday gal… Choc Ganache Cake (RM13). Not overwhelmed with the cakes. Somehow felt its a lil pricey. 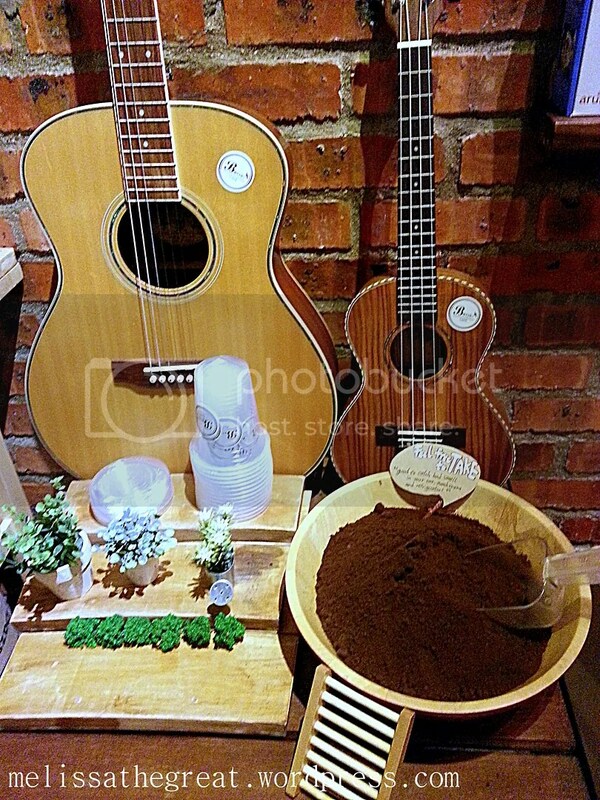 Before you leave…you can bring home some coffee grounds use for eliminating foul smell/ household odors. Its FOC anyway. Address: No. 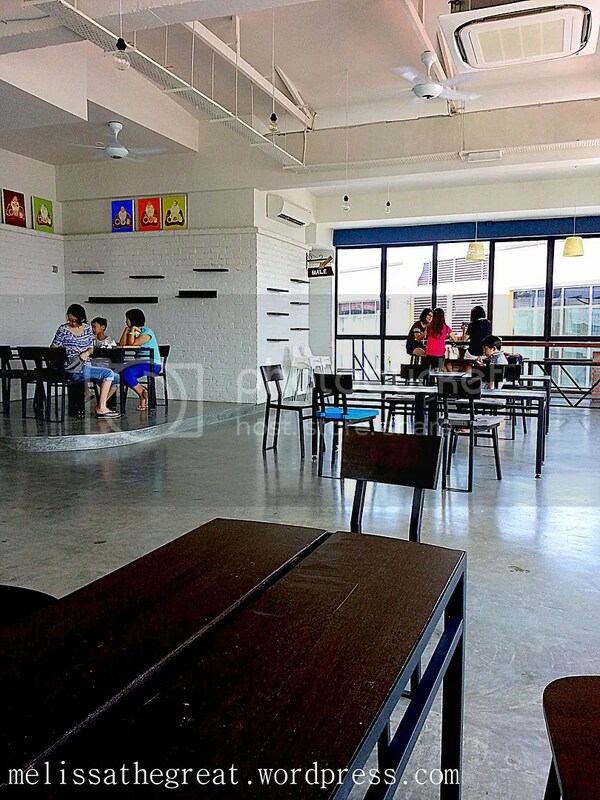 297, Jalan S2 B13, Uptown Avenue, Seremban 2, 70300 Seremban, Negeri Sembilan. 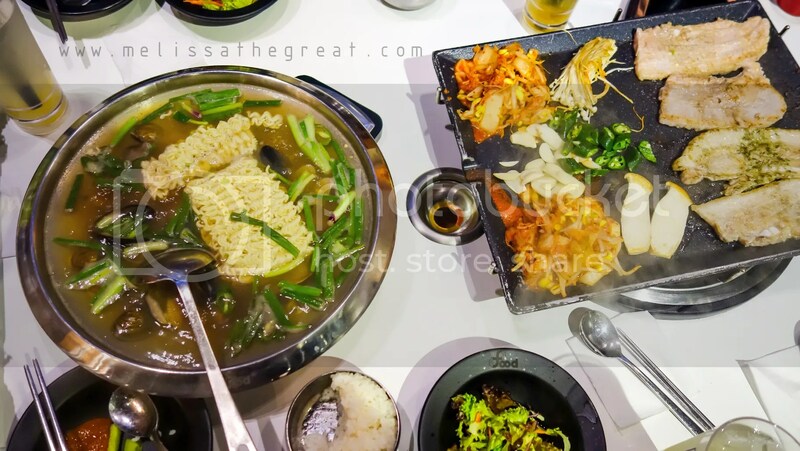 Bulgogi, Dak-Galbi, Samgyetang, Kimchi jigae, Bibimbap, Ramyeon, Gimbap, Pajeon, Ddeokbokki are the common dishes in Korean Cuisine. Which is your favorite one? 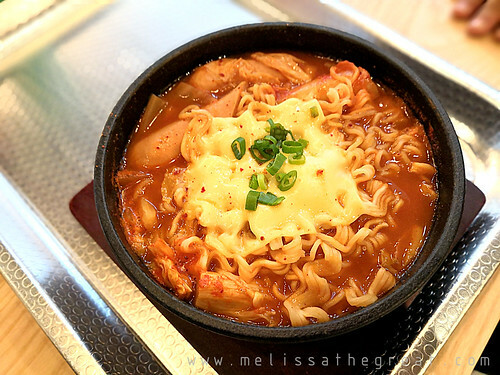 My all time favorite is kimchi jigae! 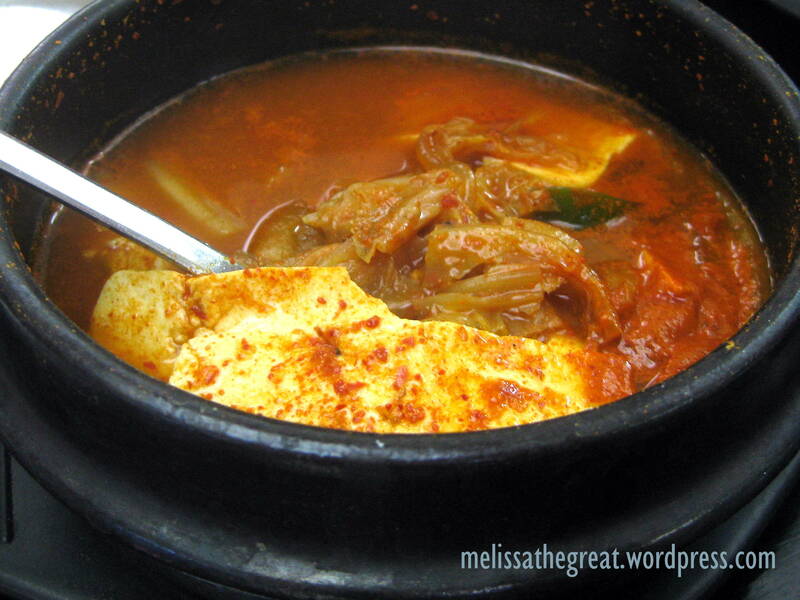 But this round I’m sacrificing kimchi jigae for something else. Worth the sacrifice?? 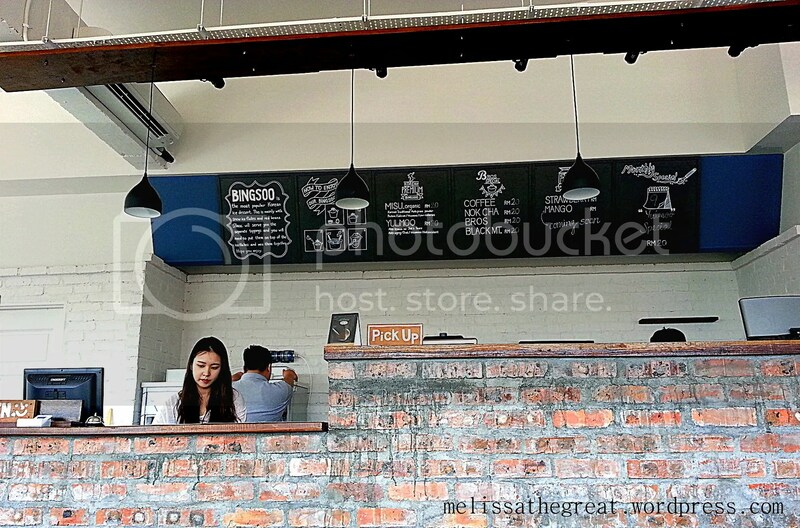 Varieties of food offered at Setiawalk, Puchong. 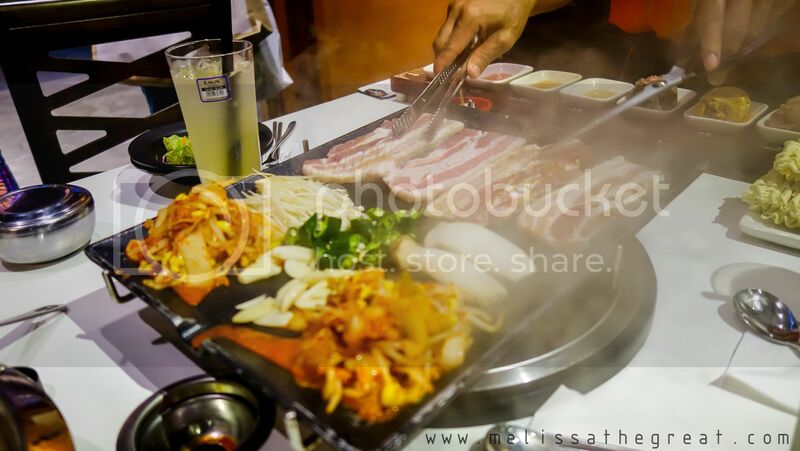 I decided to try the Korean cuisine here. 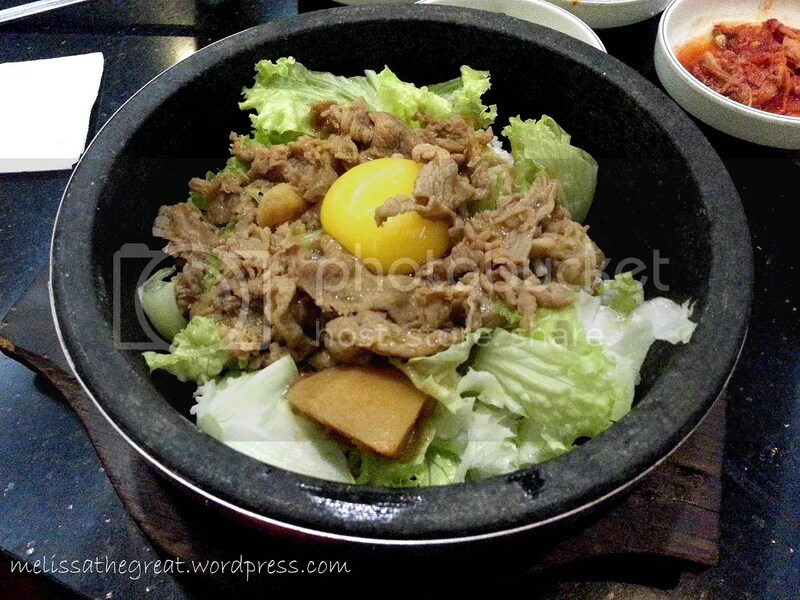 The only Korean cuisine at the moment. 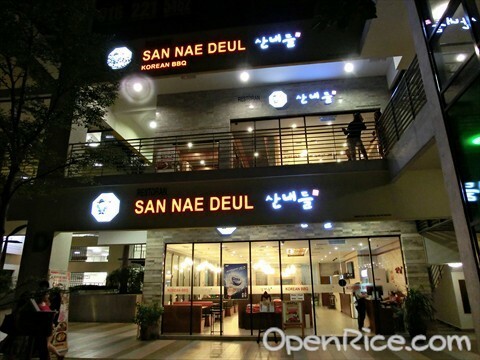 – Korean BBQ San Nae Deul. 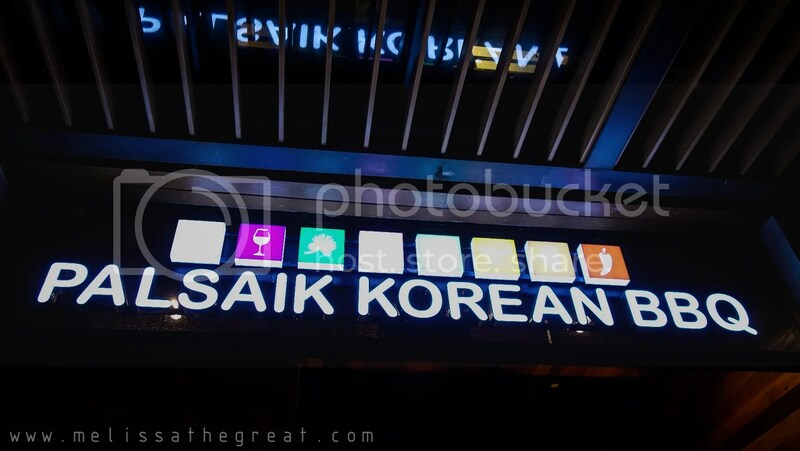 If I’m not mistaken, they have several outlets in KL. Complimentary plain water for diners. 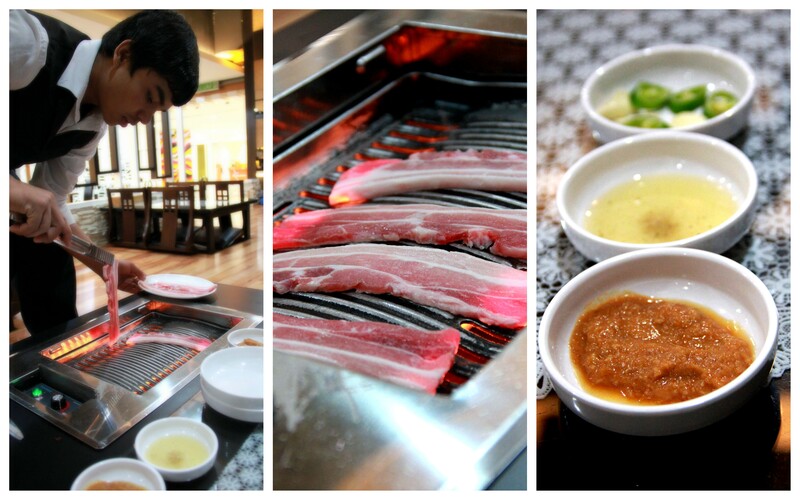 Grilled meat is something you must not miss when you dine in a Korean restaurant. 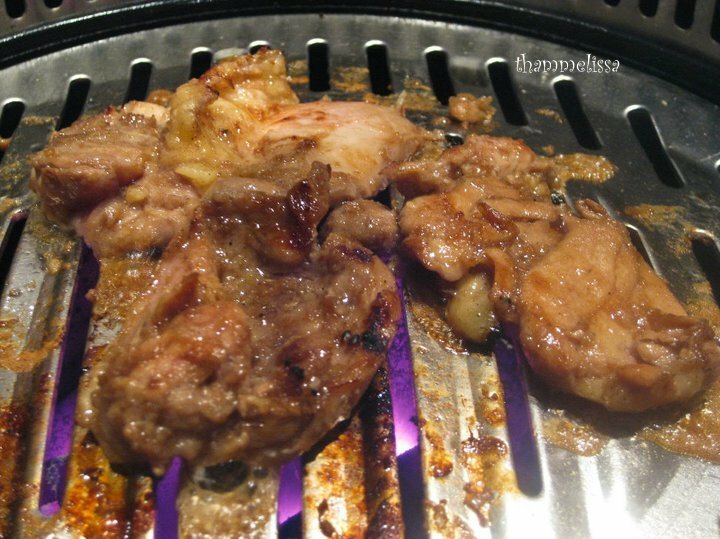 So, we ordered Grilled Spicy Pork in Korean Spicy Sauce – RM35. Hassle free. Just leave the grilling work to the staff. 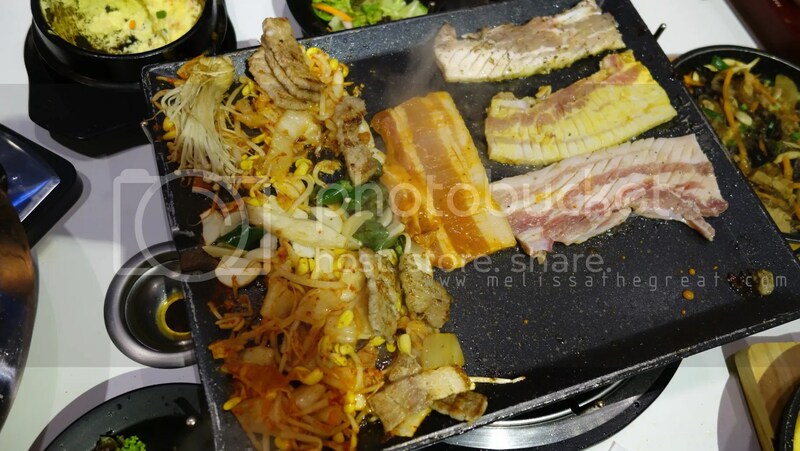 BTW….do you know why they put a piece of mushroom on that grilling pan ar? 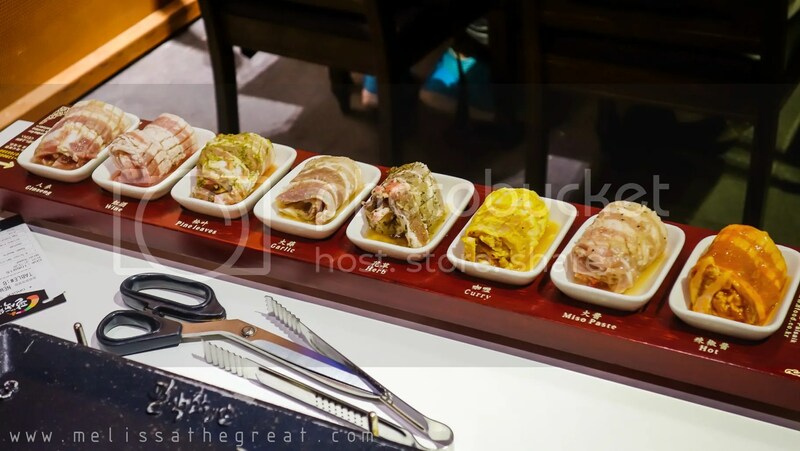 meat was cut into smaller pieces for easy consumption. Okay…now the meat are ready to makan. Although it stated ‘spicy’…but not spicy pun. 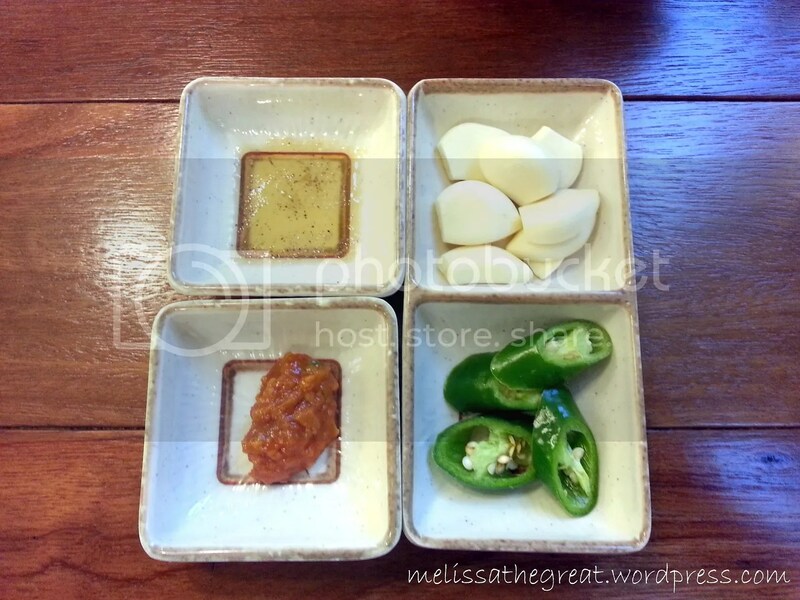 condiments for the grilled meat. 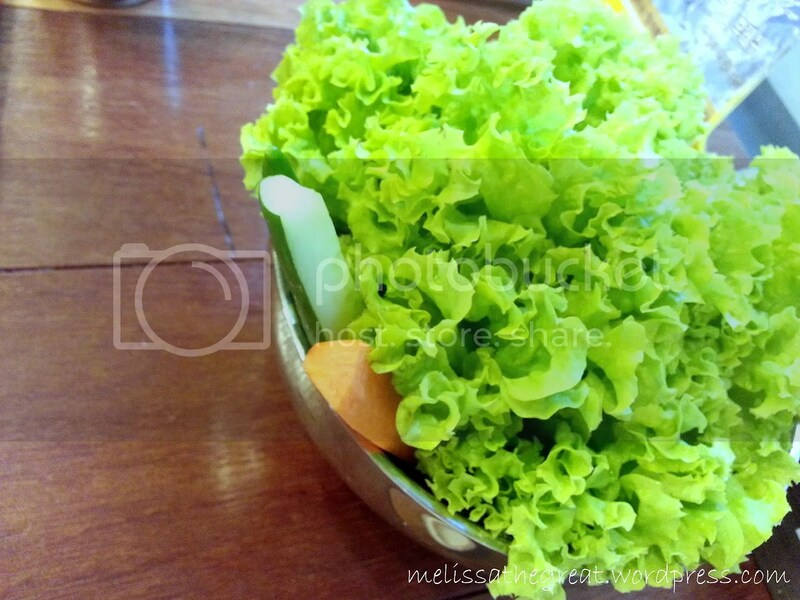 Fresh and green lettuce to eat together with the grilled meat. This is how you eat them. 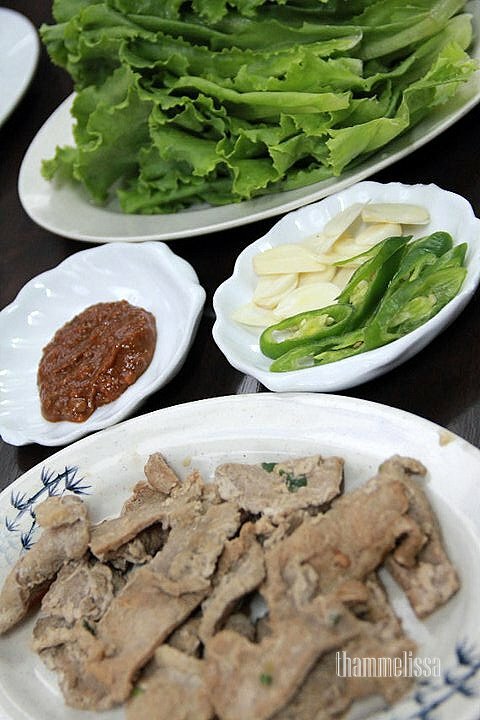 A piece of lettuce, place rice over the lettuce, a piece of meat and some sauce made of fermented bean paste. The wrap it. It was quite yummy! 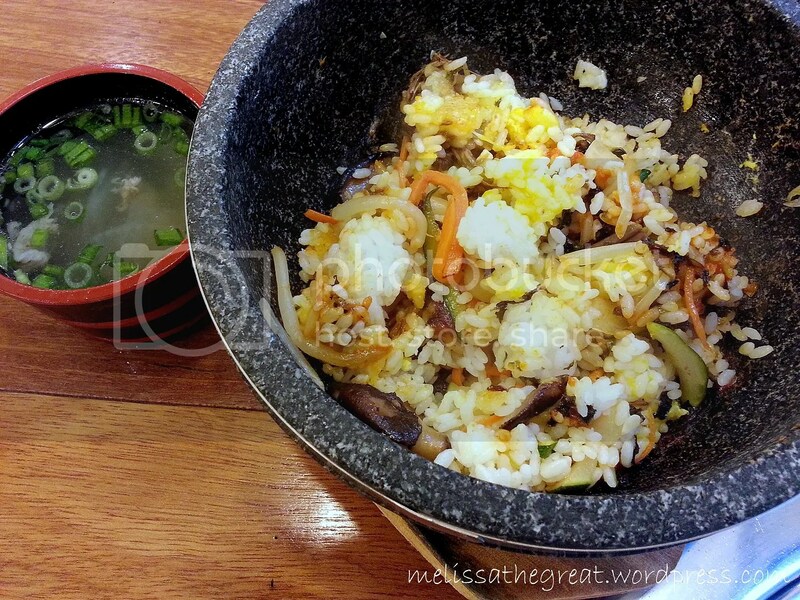 Dolsot Bibimbab (Mixed Rice with various vegetable in the stone pot) – RM25 wasn’t satisfying. Lack of red pepper paste. I sacrificed my kimchi jigae for this Samgyetang!! 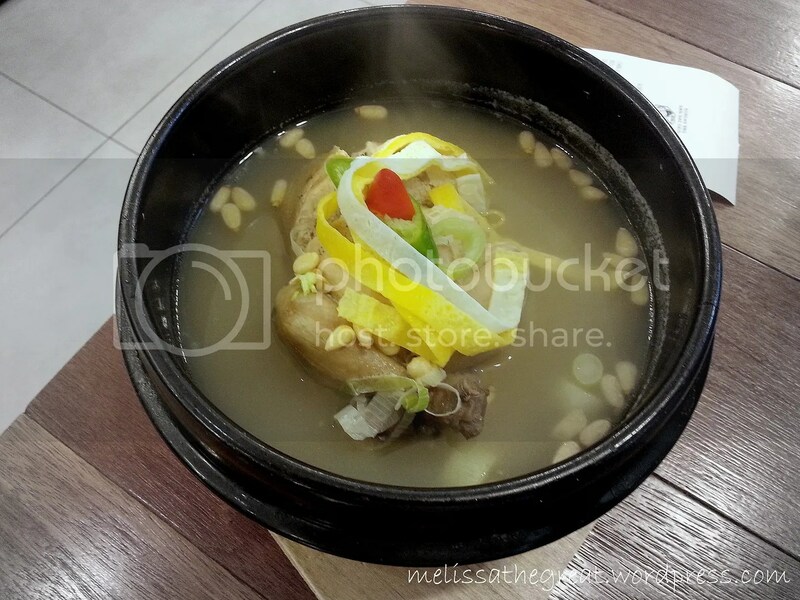 Unfortunately this samgyetang was very disappointed. 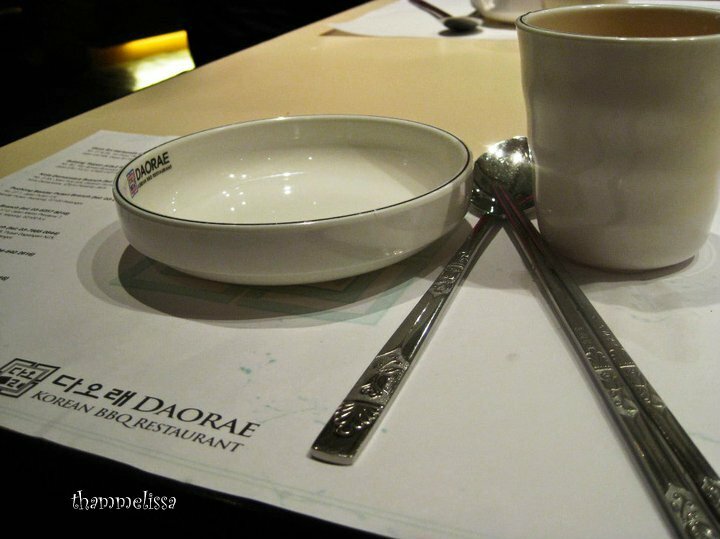 Hardly taste any ginseng and the soup was quite bland. 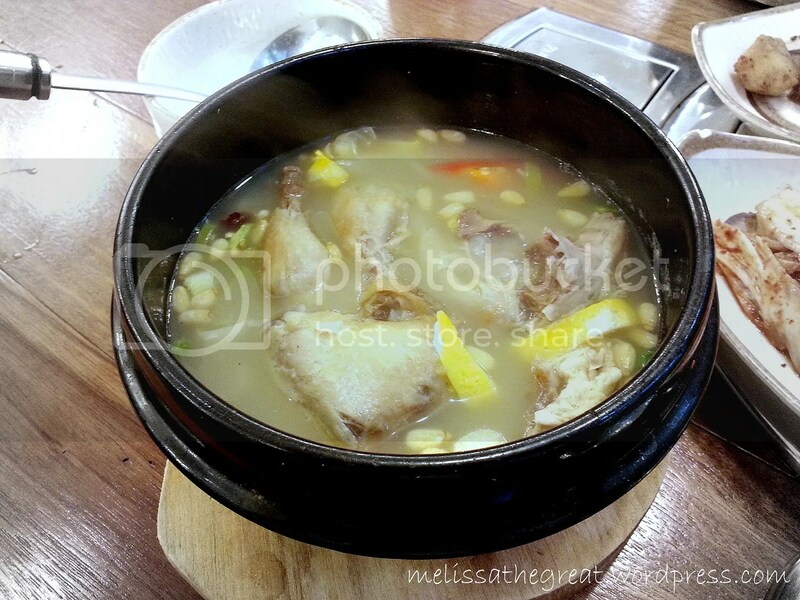 Moreover its incomparable to the samgyetang I had in Korea. 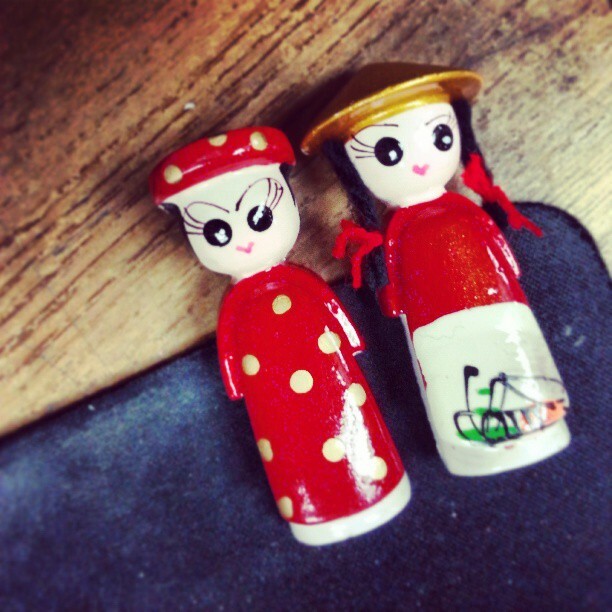 I miss the one I had in Korea….huhuhu…. 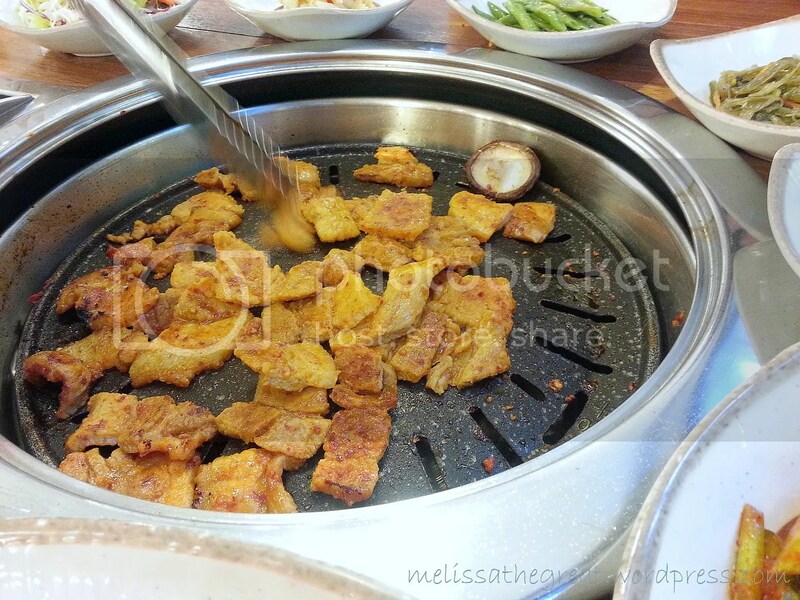 Overall; only satisfied with the Grilled Spicy Pork in Korean Spicy Sauce and banchan. 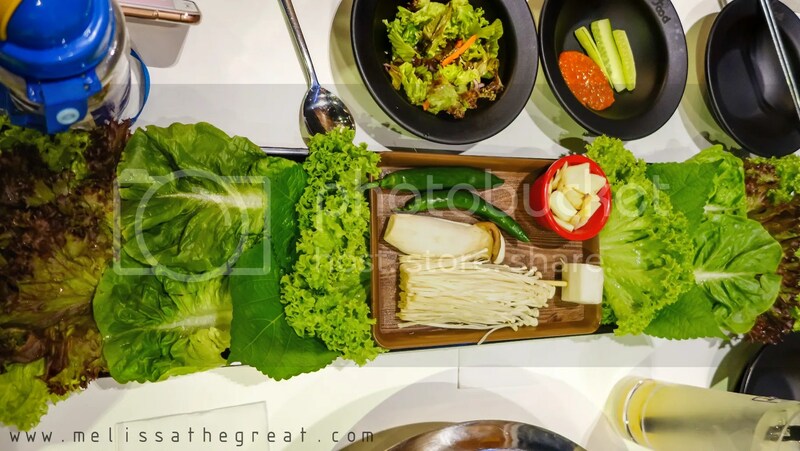 Dolsot Bibimbab and Samgyetang are below average. I grabbed 5 coupons and went together with my family over the weekend. 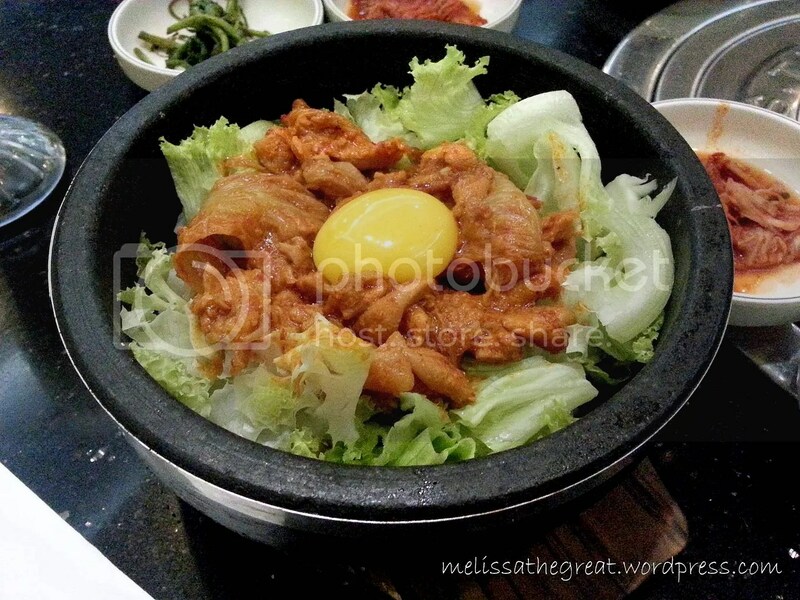 Kyung Joo Korean Restaurant is located at the 3rd floor of Midvalley Megamall- the cinema floor. 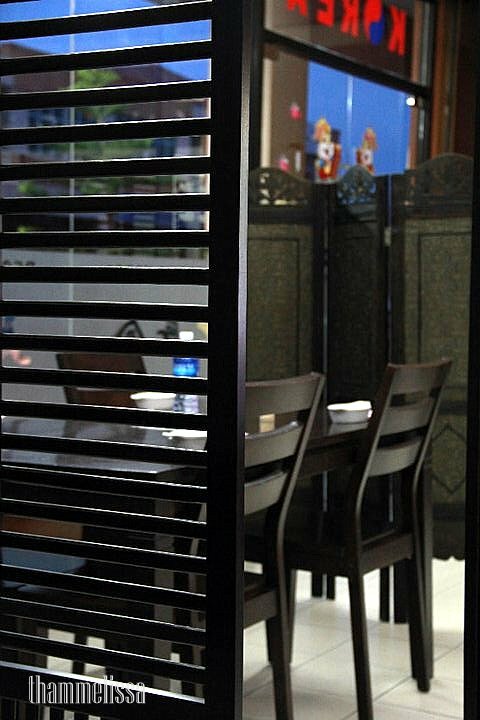 There’s a staircase to walk up to the restaurant which is above Taiwan Recipe. I also noticed part of the customers here were redeeming their coupon. I suppose its a good deal that you should not miss? 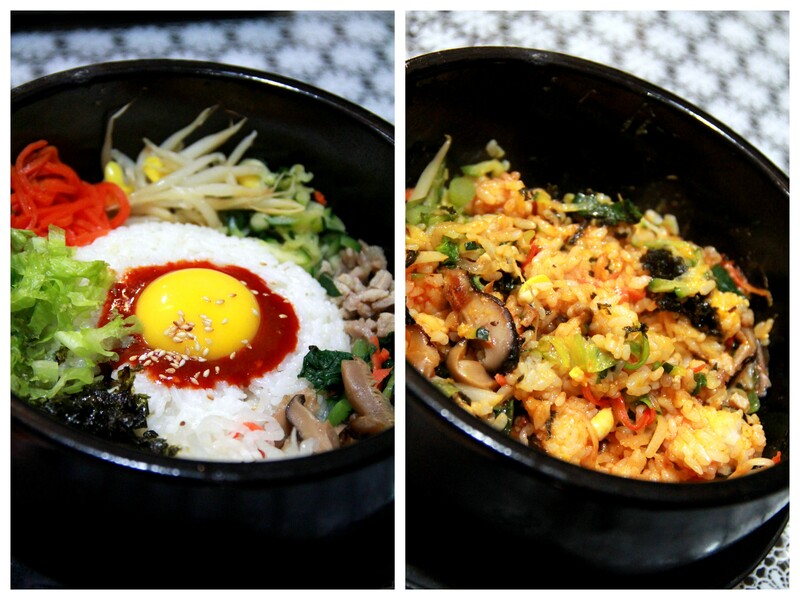 There were 6 choices of bibimbap(stone pot mixed rice) for us to choose from. 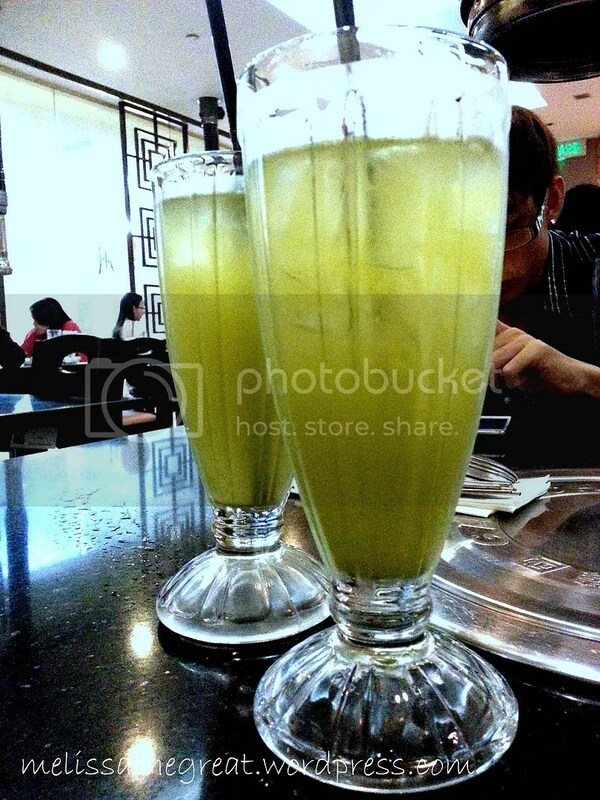 Refillable iced green tea to quench your thirst before food is served. 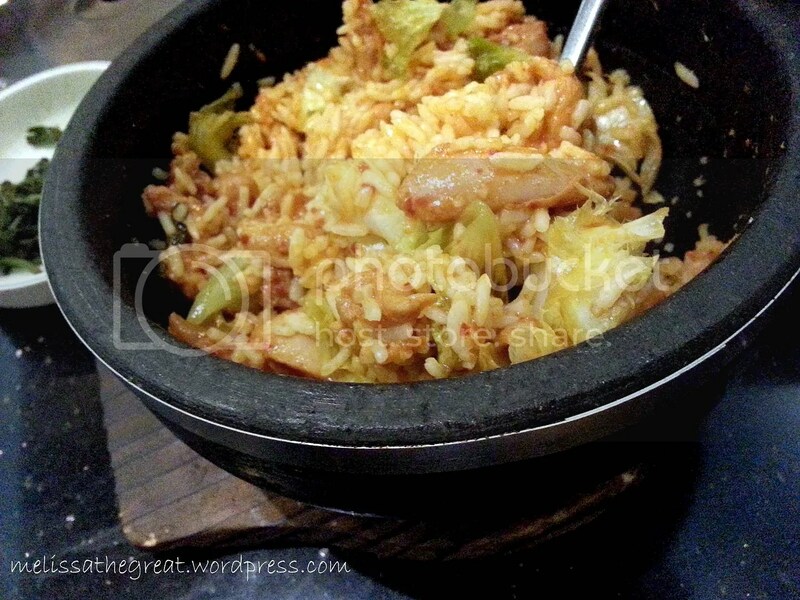 I chose Kimchi Chicken Bibimbap. 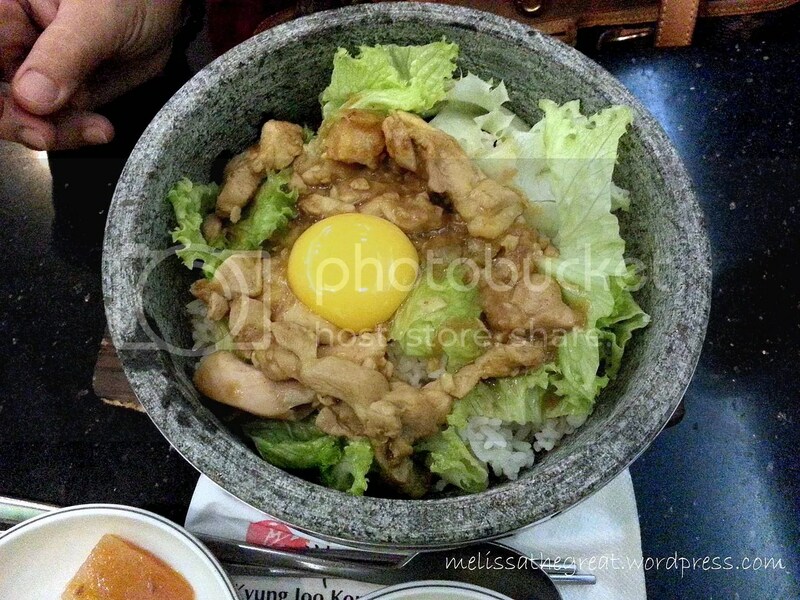 Korean rice served in hot stone topped with lettuce, generous amount of kimchi chicken and a beautiful sunny yolk. 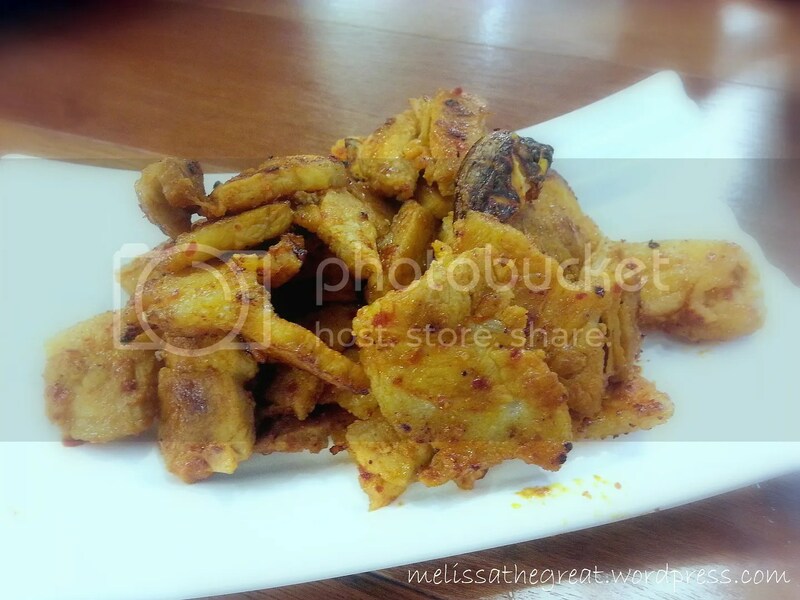 3 side dishes varies daily. We got here were kimchi, water crest vegetable and radish. This is what it look after mixing everything in the bowl. The hot stone bowl able to keep my rice warm till my last spoon. I would prefer it to be spicier…more hot sauce perhaps. 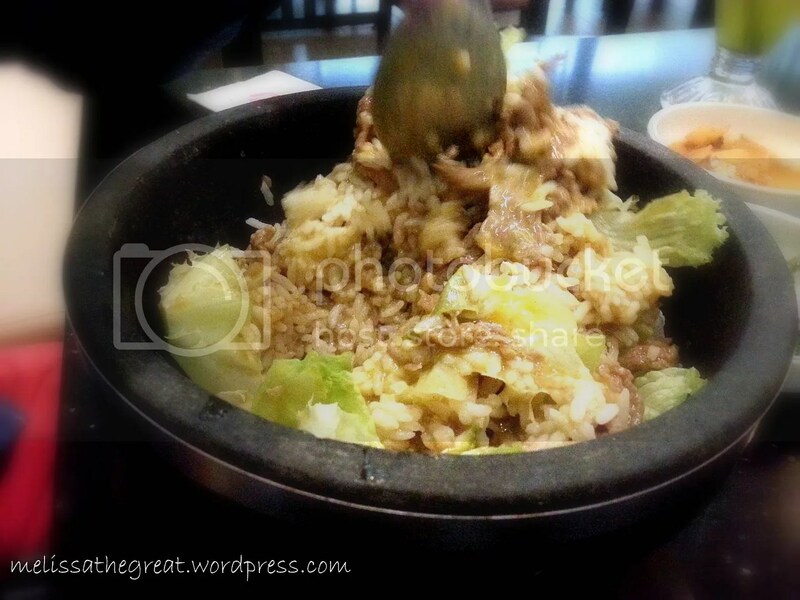 hehe…..
Alex had their Curry Beef Bibimbap. The beef were thinly slice. Not tough but tasty. Stirring the ingredients thoroughly before eating. 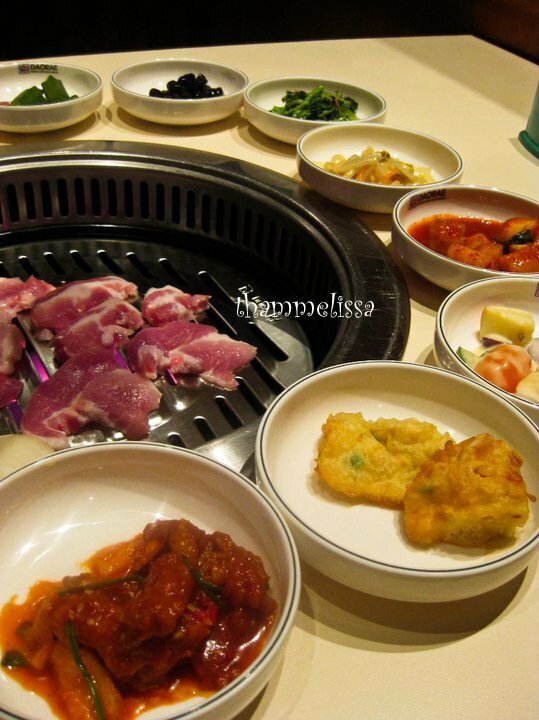 I also added an additional Grilled Pork Platter (RM39.90). I asked the waiter to do the grilling job. 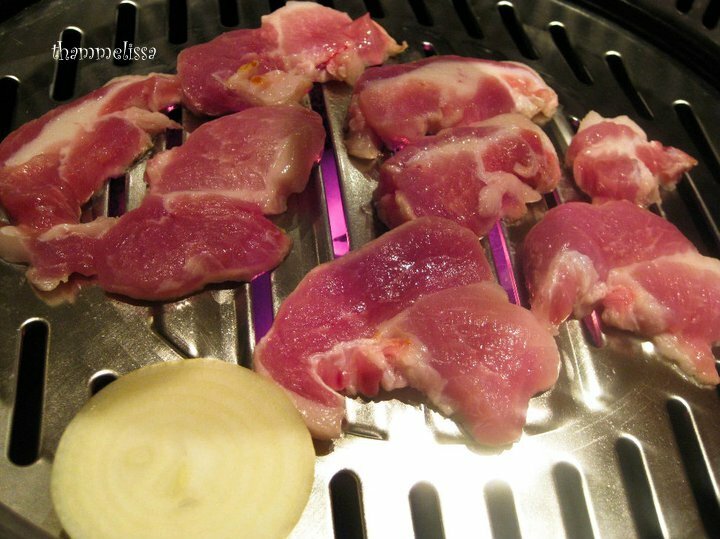 hehe…..
How to eat these grilled pork? 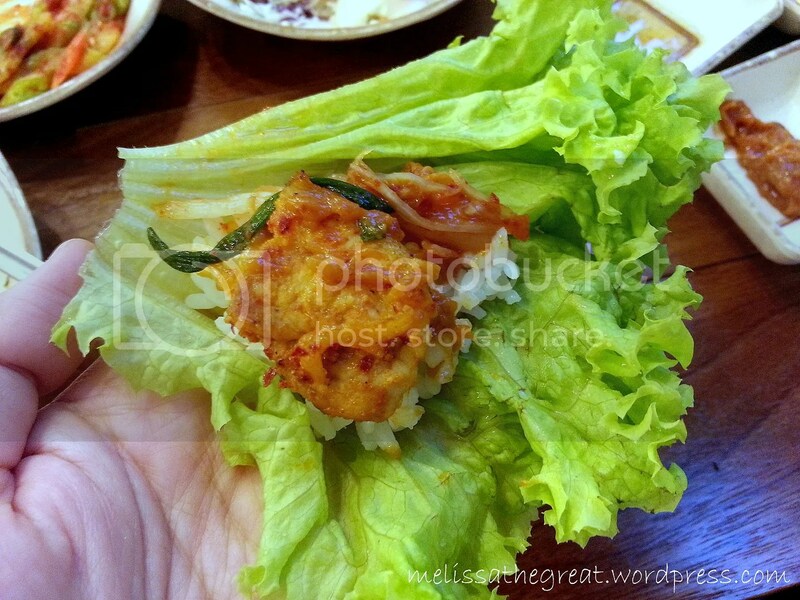 Wrapped with fresh lettuce leaves, with rice, thinly sliced garlic, ssamjang (a mixture of gochujang and dwenjang). Whole table filled with food!! 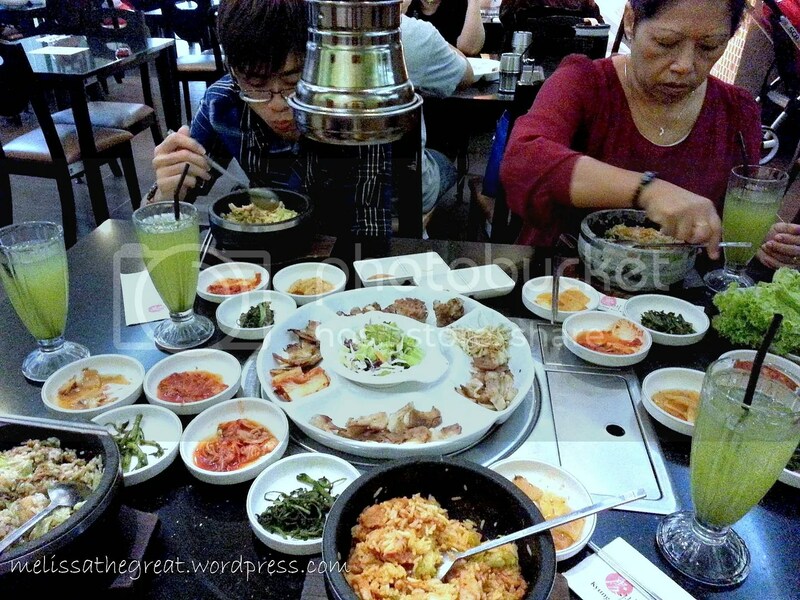 Verdict : Overall a decent and satisfied Korean food. 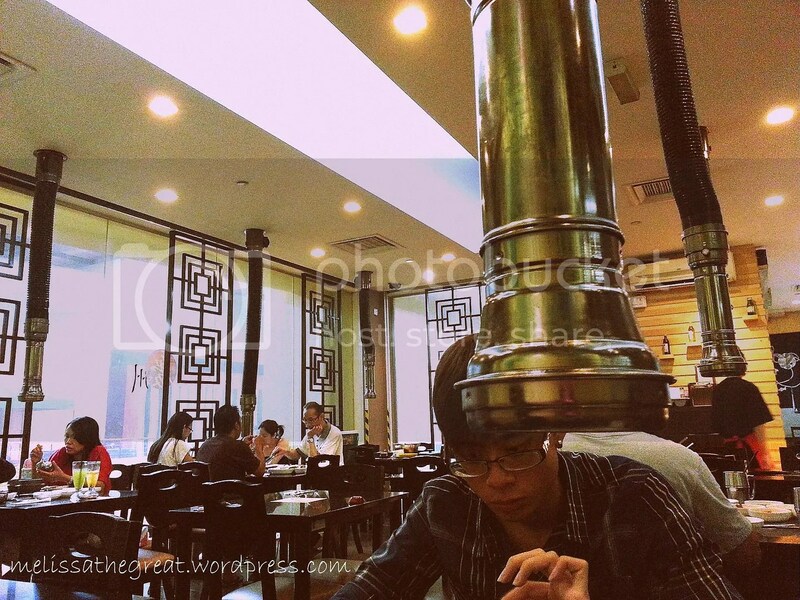 The only downside I felt was the restaurant abit cramp and warm. Redeemed a deal which I purchased earlier through Groupon. 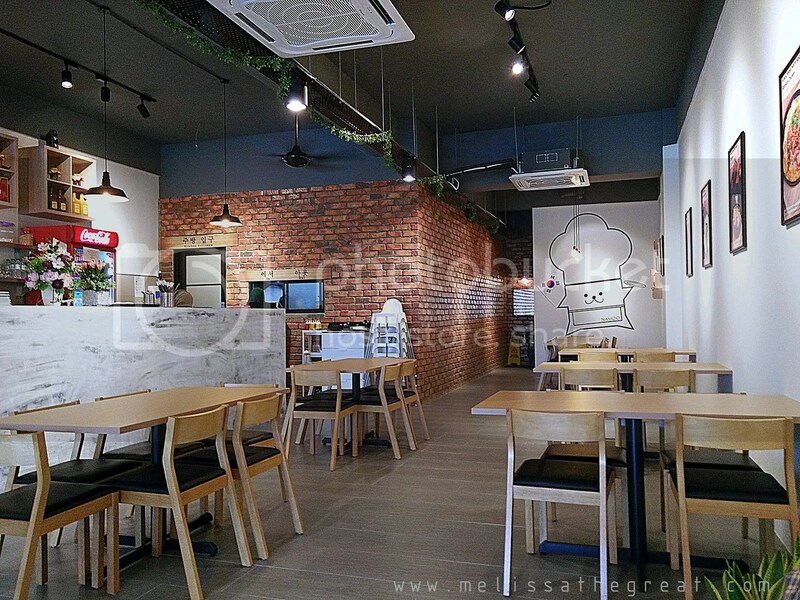 There are total of 4 outlets in Klang Valley. 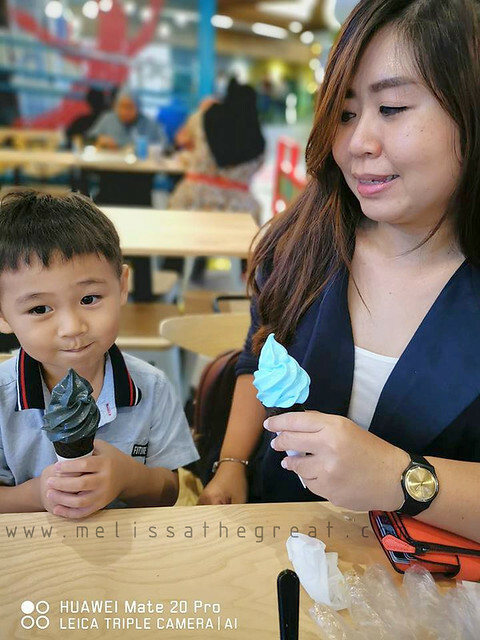 (Bandar Baru Klang, Bukit Tinggi Klang, Kuchai Lama & USJ). I chose the one located at USJ because its just 10 minutes drive from my house. I like the ambiance here. Its bright and well-arranged. The dining area is separated into 2. The tatami style and the normal one. I like the tatami area. Feel as though I’m having a meal in Korea. 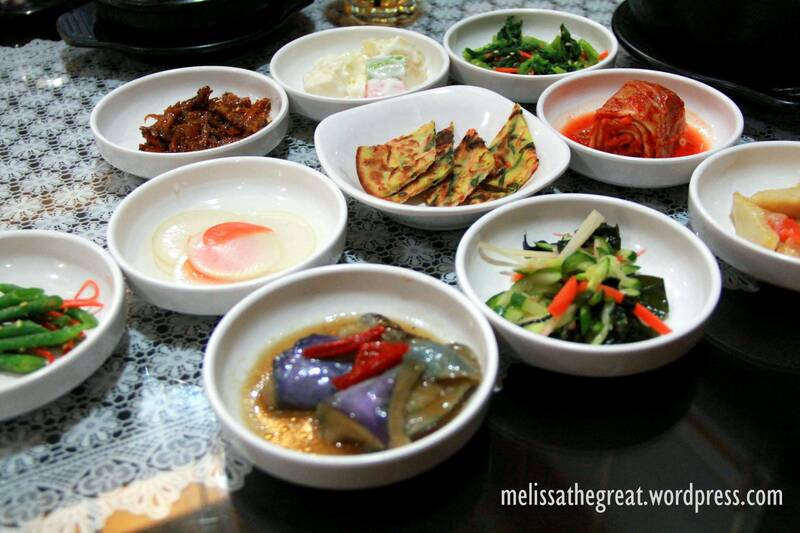 The best part about Korean food is the side dishes (Banchan). 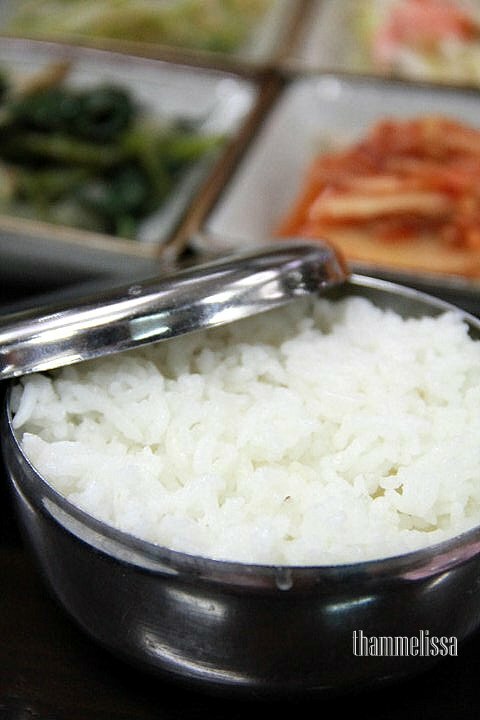 Here are the 10 refillable side dishes. The staff working on our pork. Doing the grilling and cutting on the stove right next to our table. Yes, we chose pork over chicken. 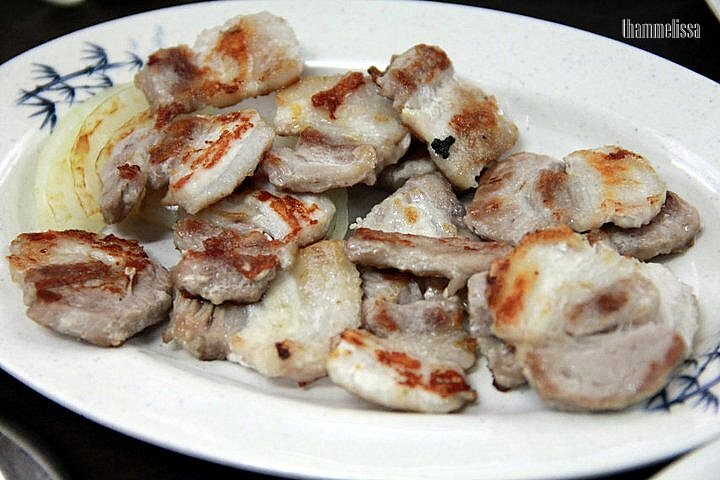 Samgyeop-sal (Sliced pork Belly). The perfectly done BBQ Pork Belly that you hardly feel the fats. They are cut into pieces so that its easier for people to consume. 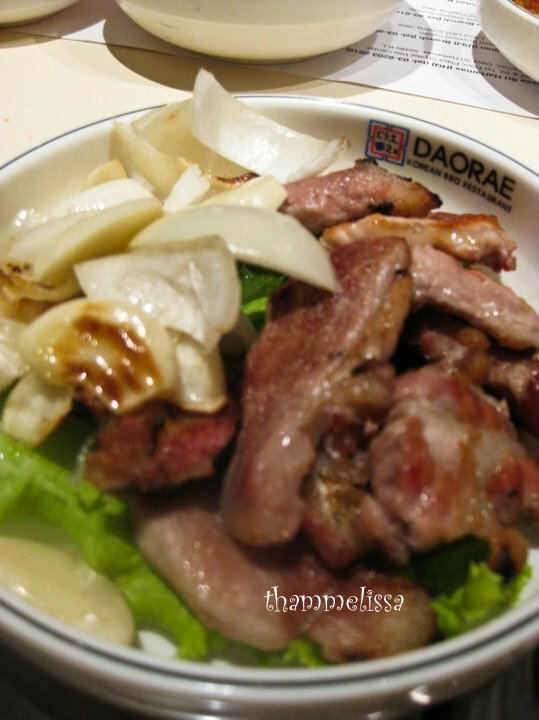 With the green lettuce, miso sauce and bbq pork belly…we wrapped them with rice. 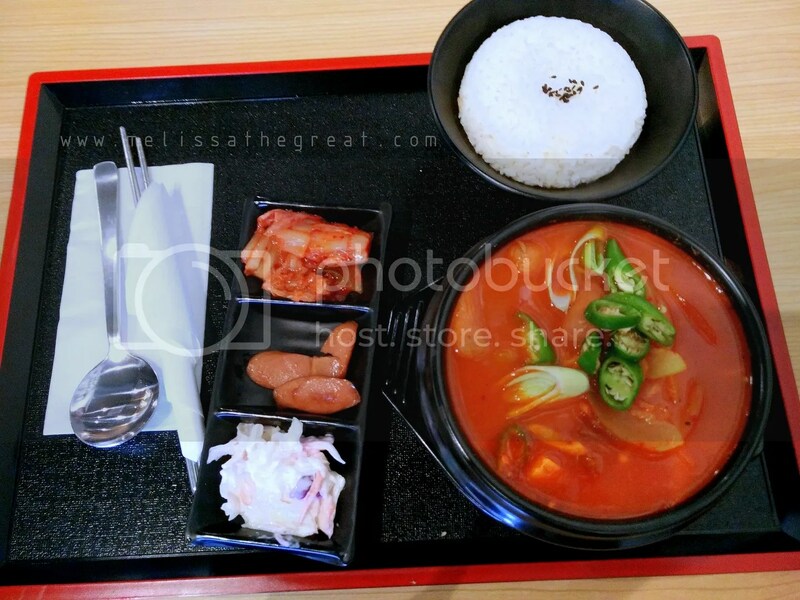 A bowl of piping hot Kimchi-Jjigae (Kimchi stew pork & tofu) was served pretty quick! 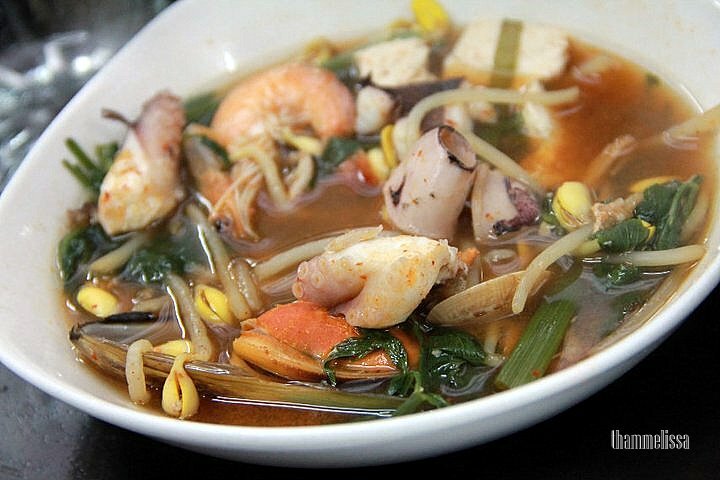 The hot and flavorful soup is tasty and quite salty. Tasty and salty, went home feeling thirsty too! 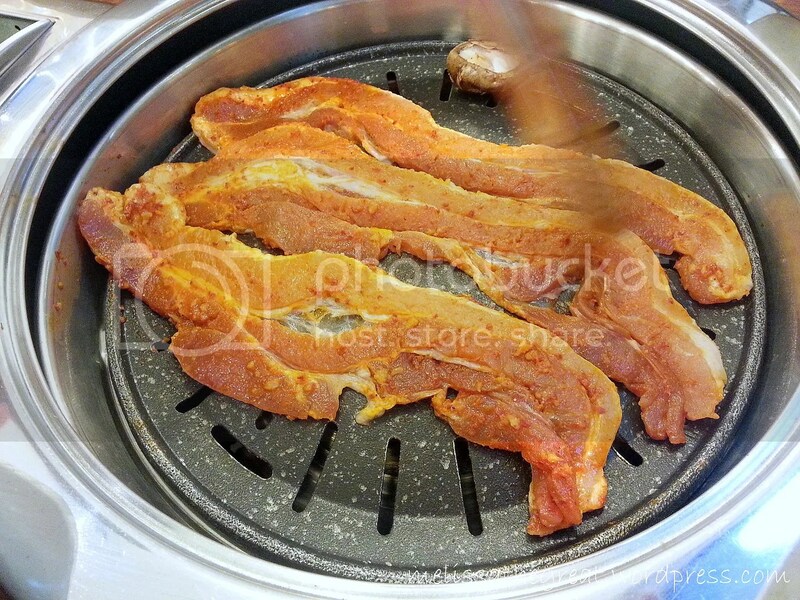 Overall, Samgyeop-sal (BBQ Sliced pork Belly) is the one I like most. The rest are just normal. 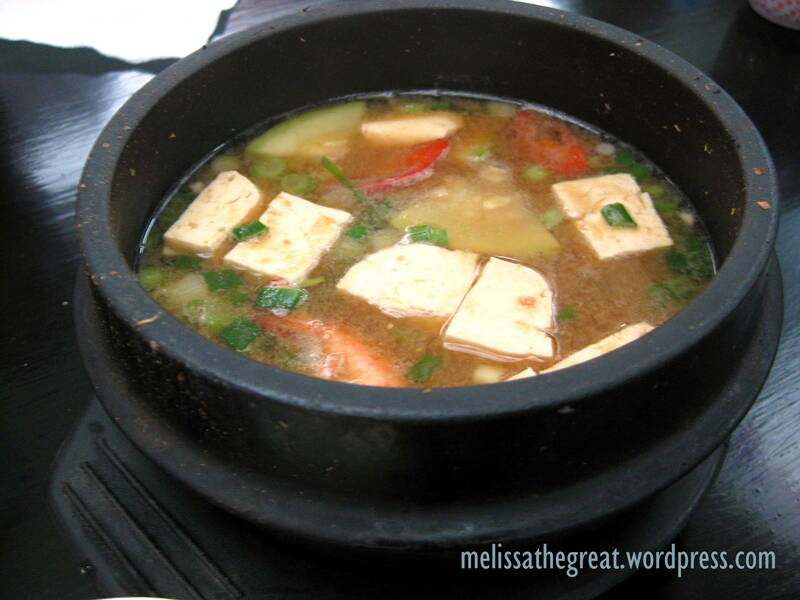 Next I’m interested to try their Samgae-Tang (Ginseng chicken soup) because I love Korean Ginseng soup! 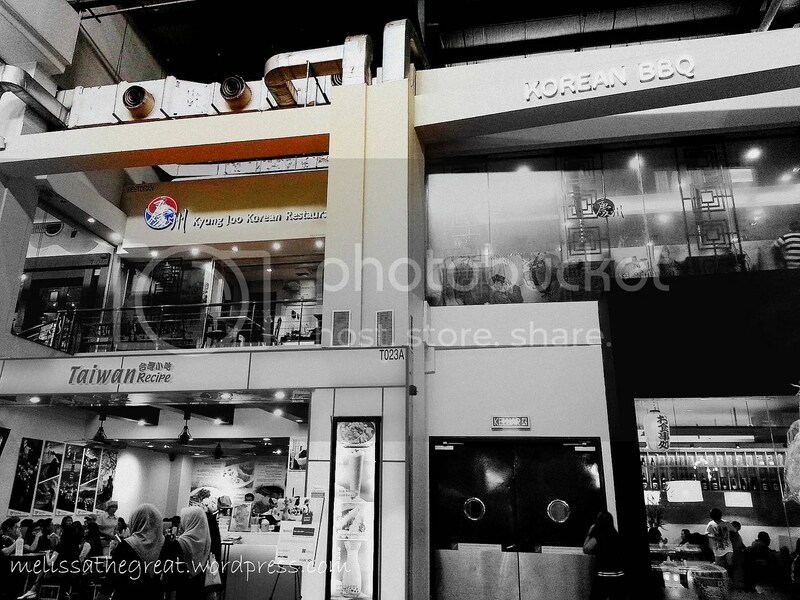 1st Floor, Lot F31, The 19 USJ City Mall, Jalan Kewajipan, USJ 19, 47620 Subang Jaya, Selangor. 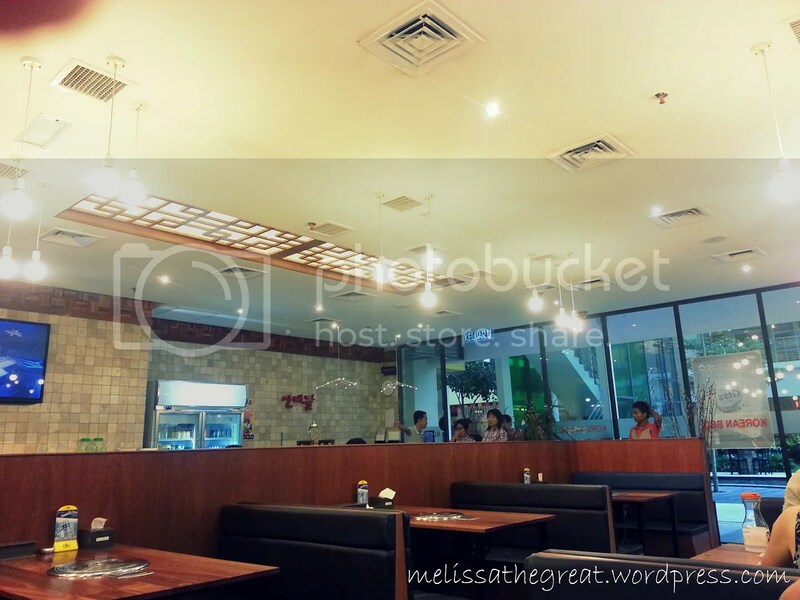 My 1st dining experience here was a pleasant & satisfying one! Read Here. Thank to the deal offered in http://www.everyday.com.my/ which gave me a chance to dine here once again at a discounted price. Unfortunately the word “Pleasant & Satisfying” has vanished in just one night! That is the reason why I need to insert the word “with coupon” on my title. ——> Anyway, I don’t seem to enjoy. Handed my coupon to the restaurant owner and only came to confirm my order 10 minutes later ,even asked me again whether I’ve handed the printed coupon. Duhhh…Okay..I sounded like a cheapo dining there. 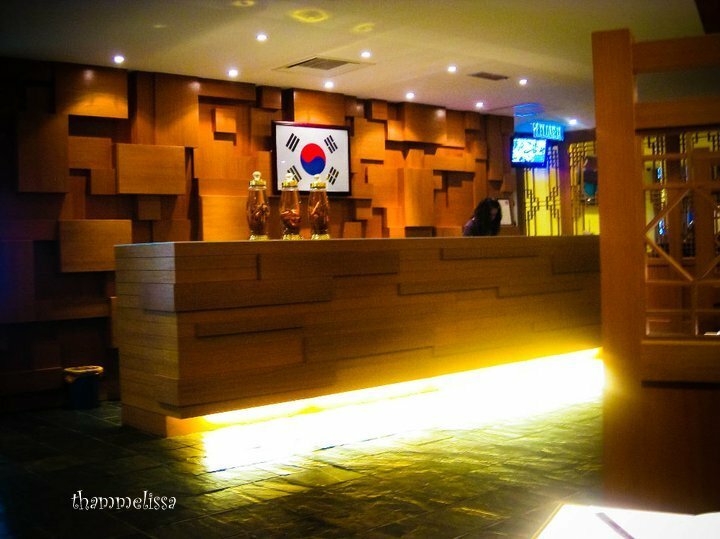 Then waited for 30 minutes just to get our drinks served after we reminded them (gave us an excuse the reason is that Korean usually serve drinks after meal!) Wat Da! Then another 15 minutes to serve our food. 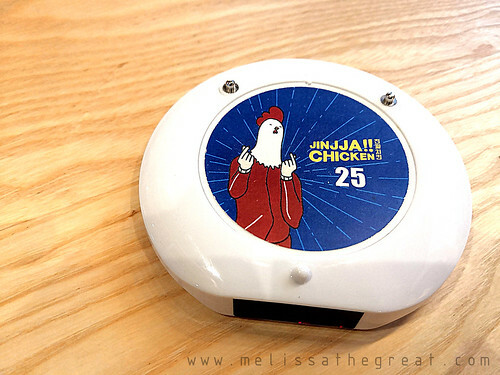 (For your info; the restaurant was just 1/2 occupied!) *I was trying to be cool, though I’m so frus. 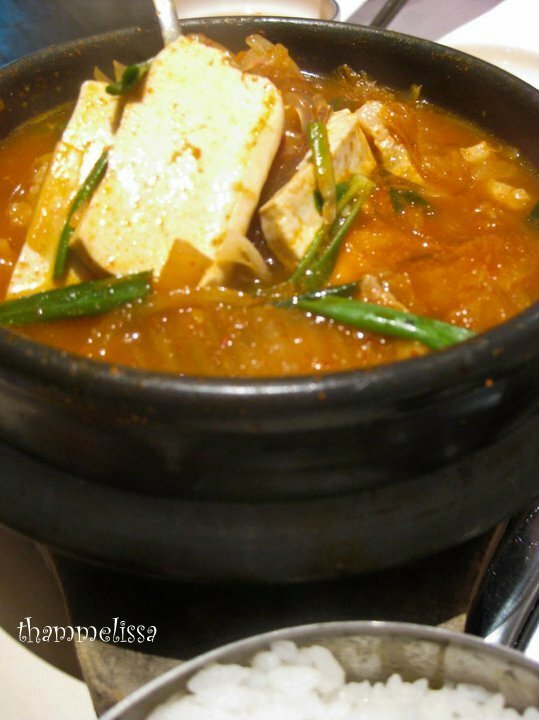 Soondooboo Chigae (Spicy Soft Tofu Stew) is a spicy stew made with soondooboo, a soft uncoagulated tofu which is produced without undergoing the process of compression which removes water and curdling it firmly. 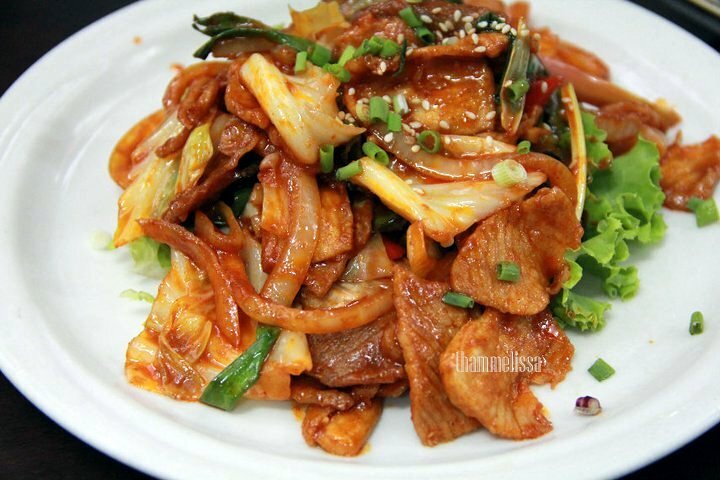 It is usually made with some pieces of pork, several small clams, chopped garlic and red-pepper powder (kochukaru) along with chopped leeks and sesame oil. 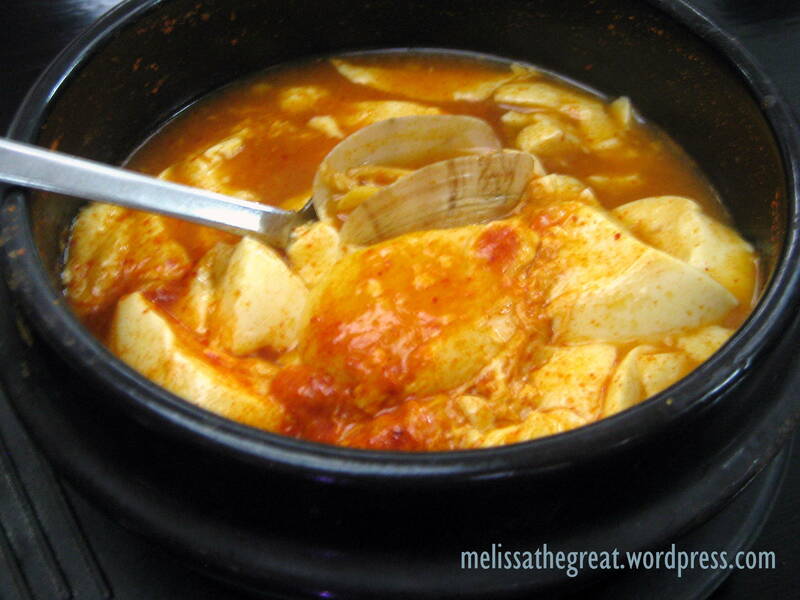 Kimchi Chigae (Fermented Chili Pepper Cabbage Soup) is a very popular soup made with kimchi and kochujang, served in a stone pot that allows the soup to continue boiling when served. The Kimchi Chigae contains kimchi as well as other ingredients that vary widely such as green onion, onion, tofu, beef and seafood. One of our rice is 1/2 full! Wat Da!! Sorry…this will be my last visit! I like Korean food. However, in Seremban it is quite limited choice. Unlike in KL, you can easily get one. 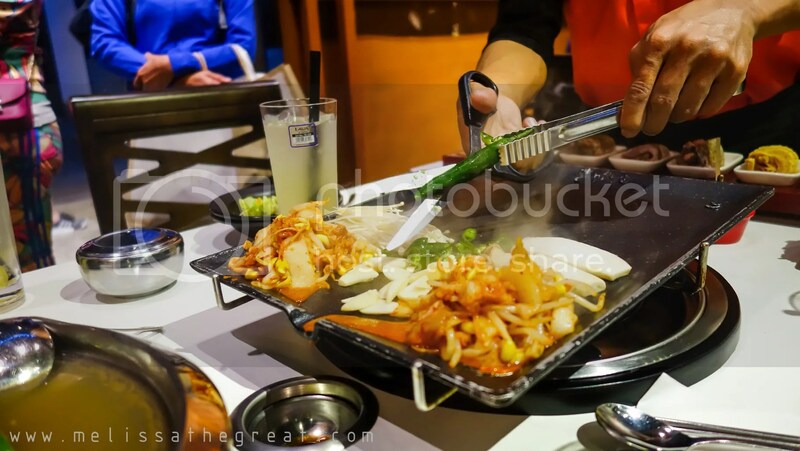 This restaurant operates by a Korean family and has been operating for several years. Unfortunately this was my first time trying their food. Previously, Baby Sumo did recommend this place to me. Finally I got the chance to try it myself after the suggestion was made by my sister and brother in law. 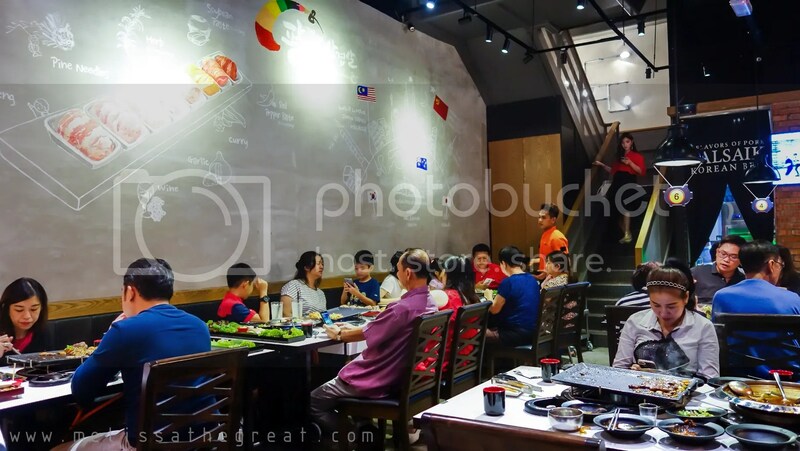 I recalled; each time I pass by this restaurant, it looks so quiet as if the business were not good and that they were not receiving much customers. Therefore I may have doubts on it. Until last Sunday, after I had my dinner there, my perception has changed! To my surprise, the food is good and it even taste better than SIL RO AM. 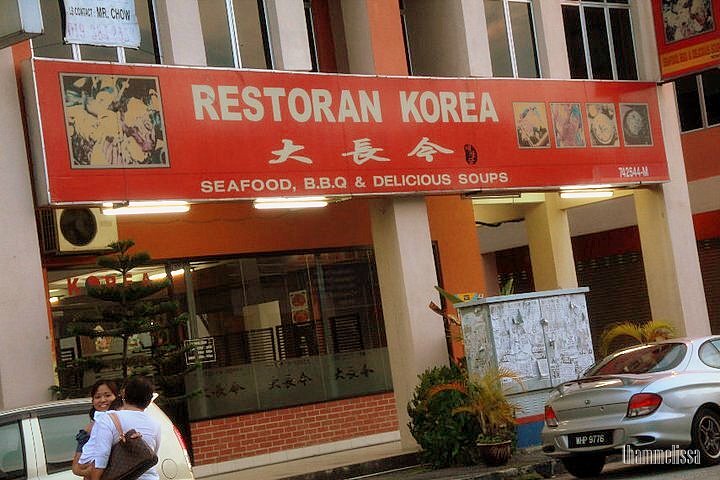 Perhaps; I would say the best Korean food in Seremban. 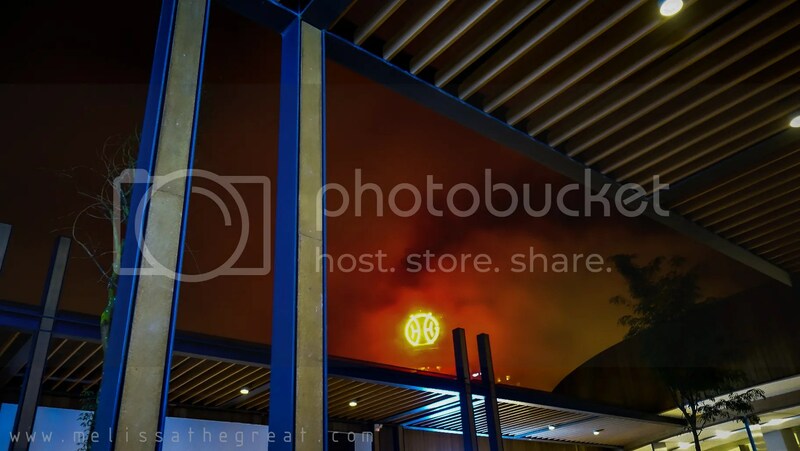 It is located at Oakland. This street is rather quiet in the evening. We sat at the section behind this partition. More privacy I suppose.. 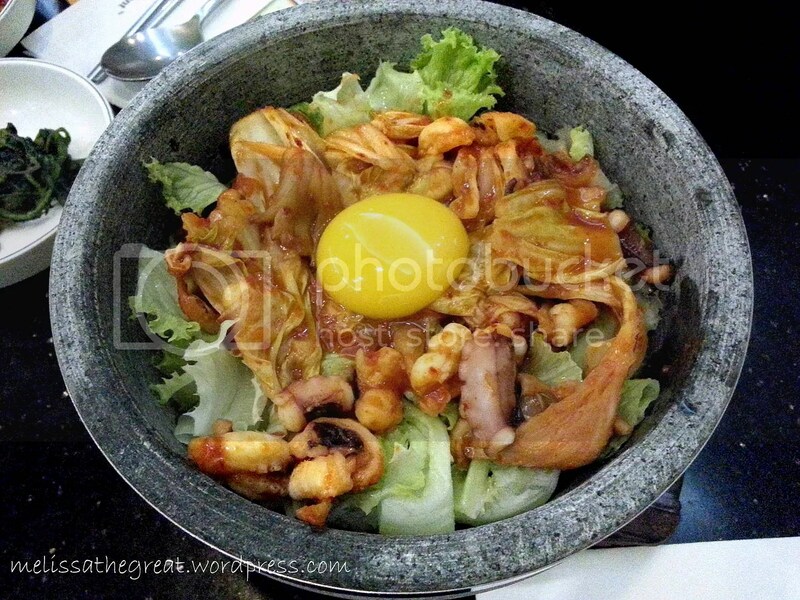 This is what I love most about Korean food. 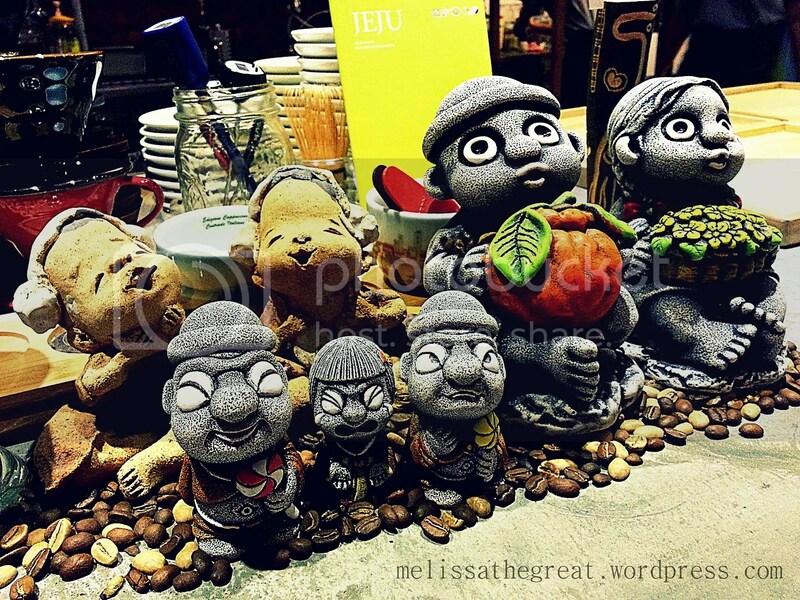 The varieties of Ban chan. The boss was kind enough to place 2 sets of ‘ban chan’ because there were 6 of us and we sat on a long table. a bowl of rice at RM3 each. This is not our local white rice. 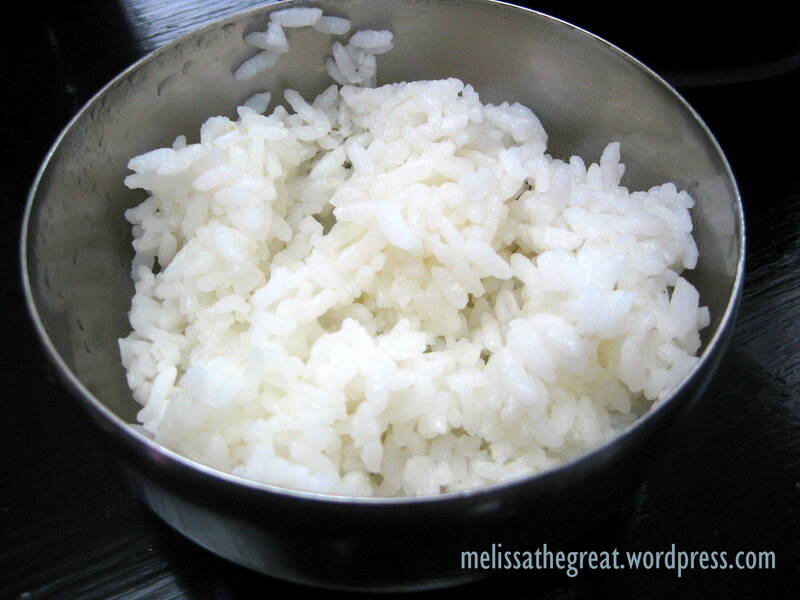 Its Korean rice. 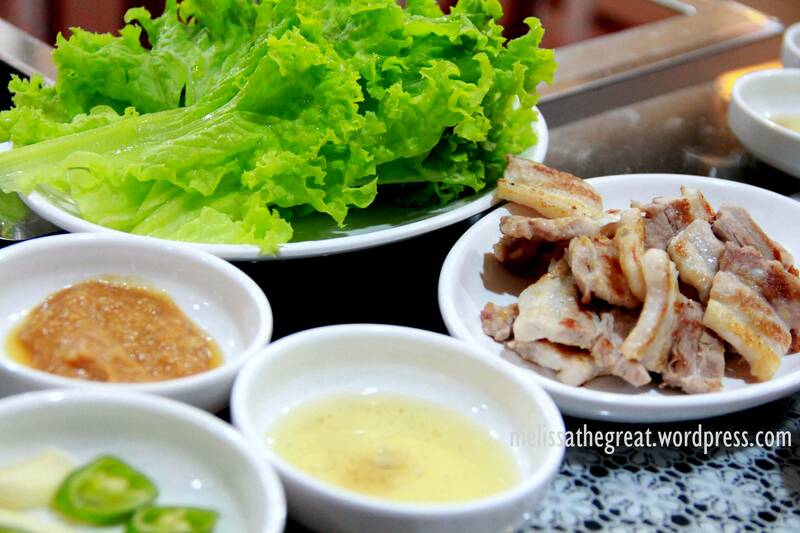 This is the purpose of them serving lettuce along with the grilled meat. 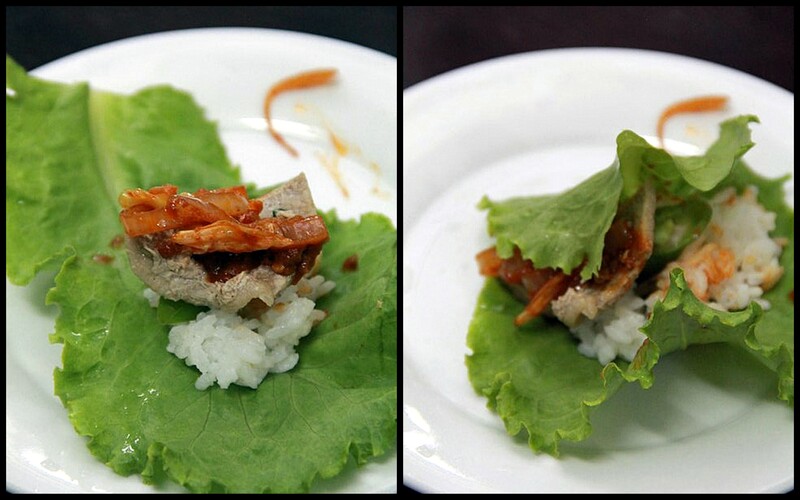 Place a small amount of rice, a piece of meat, the sauce and wrap/roll it. 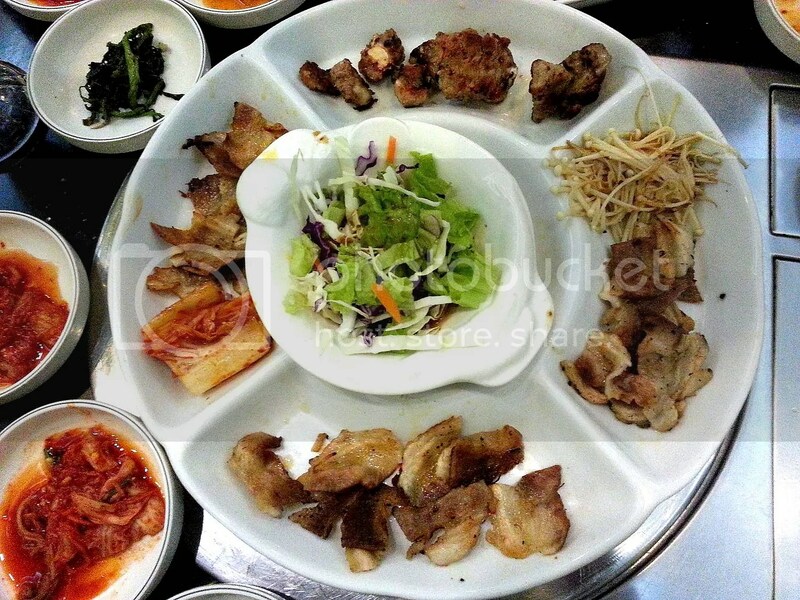 All the pork dishes above are yummy! 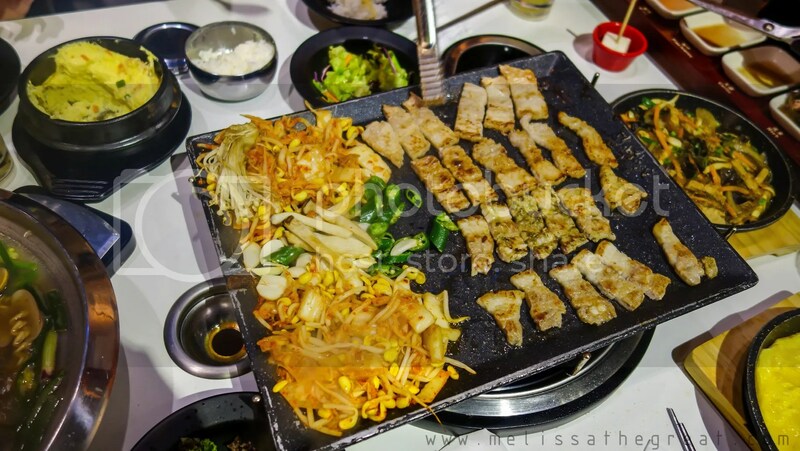 Moreover they will do all the works (grilling) for you. My first encounter on the pancake. It taste good after you dip in the sauce given. Otherwise it taste quite bland. The best dish of the meal! 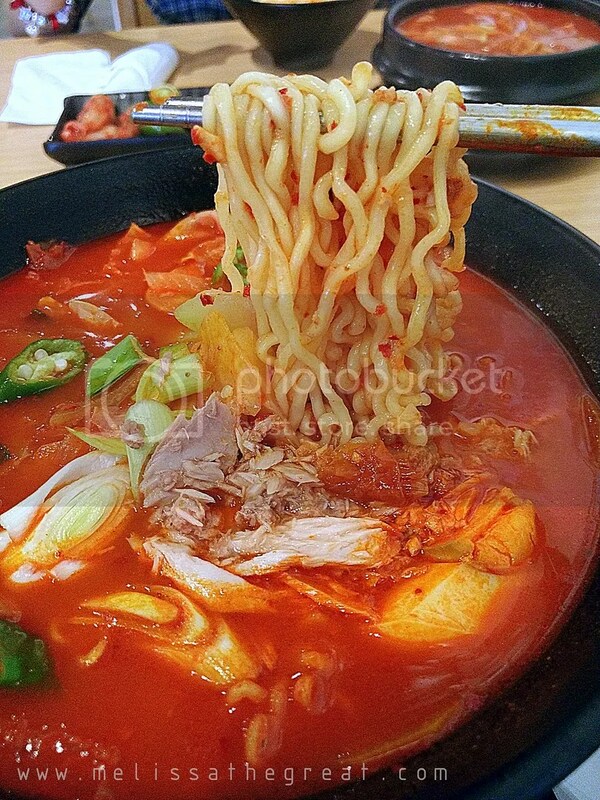 Soup itself is tasty and spicy. A mouth watering dish and appetizing as well. 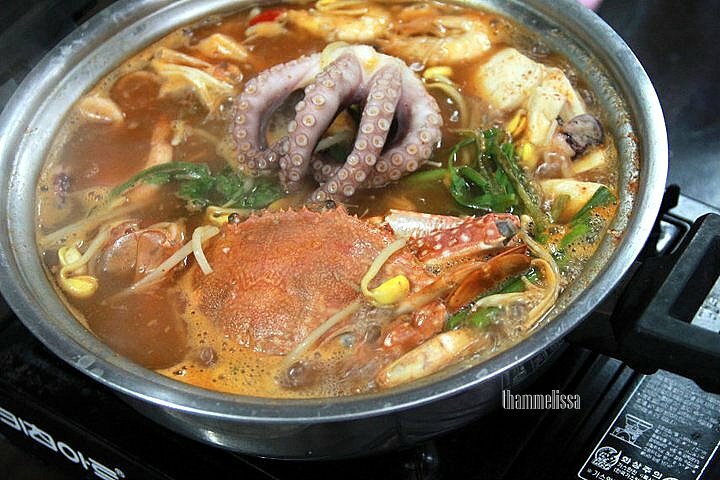 Contains generous amount of seafood too. 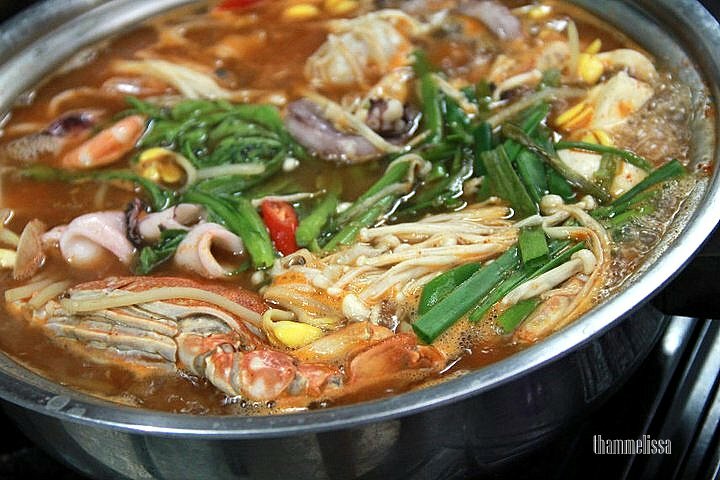 -1 whole crab, 1 big piece of octopus, mussels, clams, prawns, tofu and bean sprout. Though ‘small’ size portion, but is enough for 6 person too. 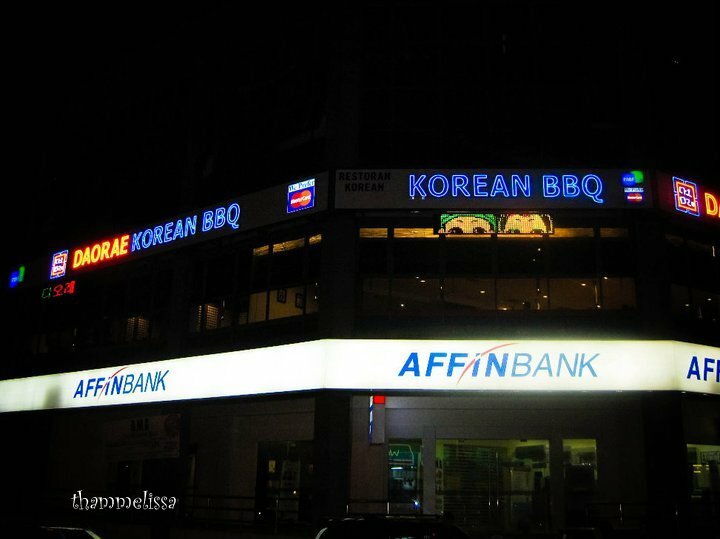 We have noticed this Korean BBQ Restaurant for quite sometime. Finally; Alex brought me there to give it a try. 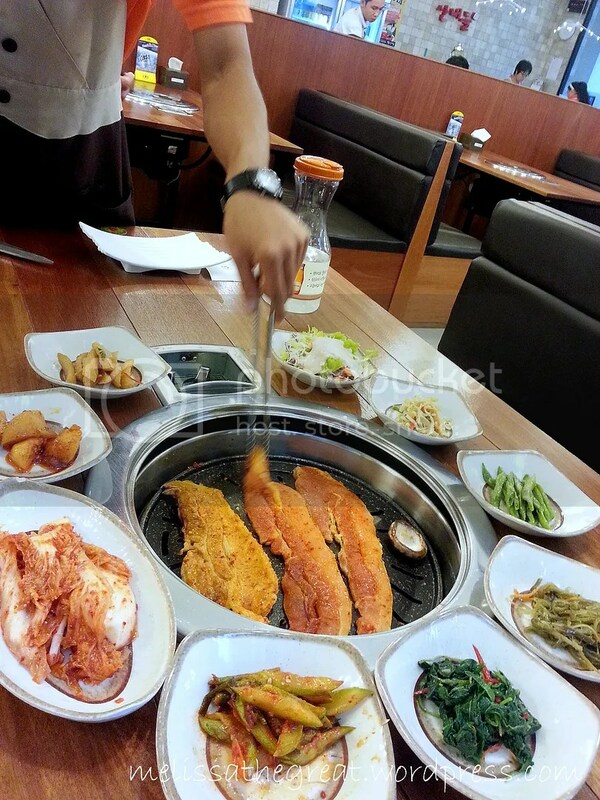 And resulted…a satisfying Korean meal we had. Definitely will go again! 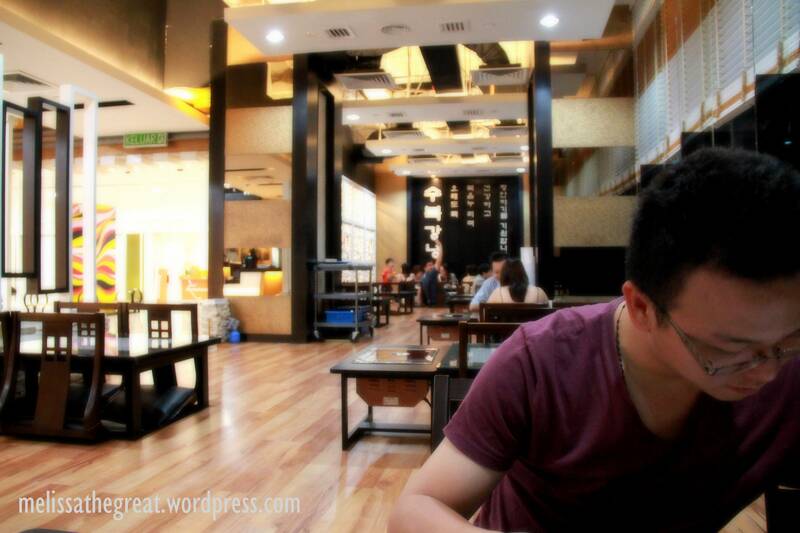 The one I’m referring here is located at Taipan, USJ. 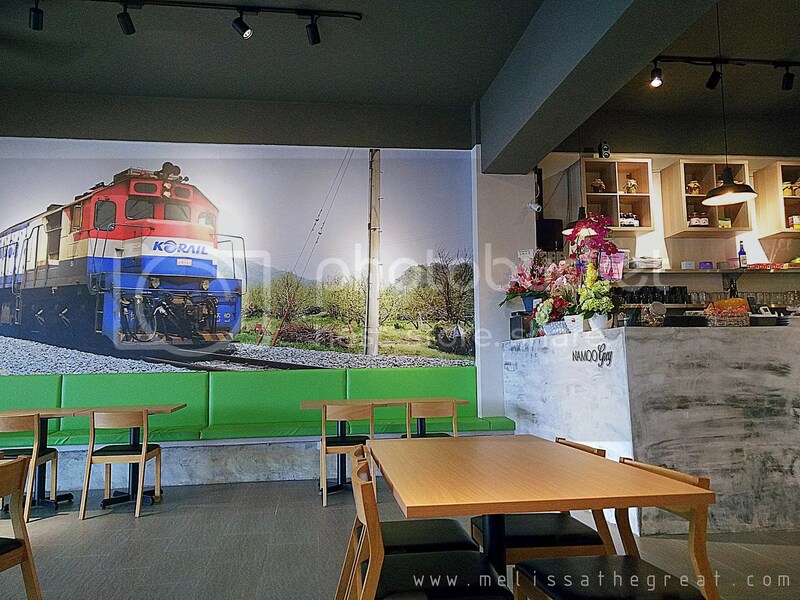 Eventually; they do have a few more branch at Desa Sri Hartamas, Kota Damansara, Puchong, Kepong and 2 outlets as well in Penang. Served us with rice tea. 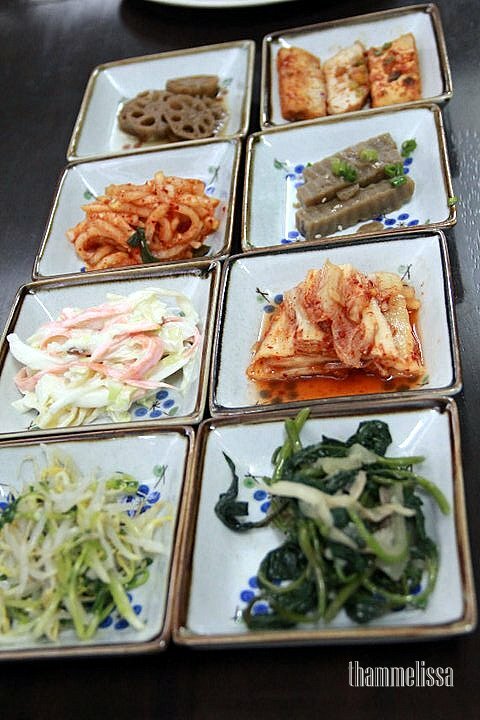 Inclusive of Assorted Banchan. ITS REFILLABLE!! 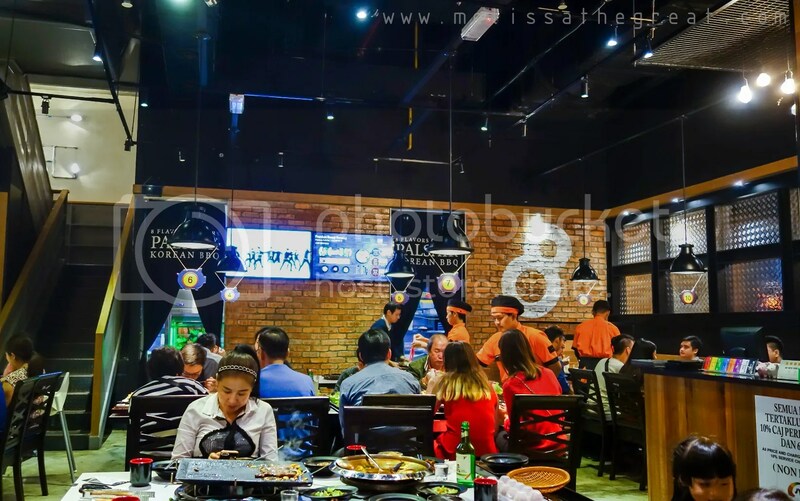 If you are here; you definitely need to try their BBQ or meat grilling. (Beef, Pork, Chicken). 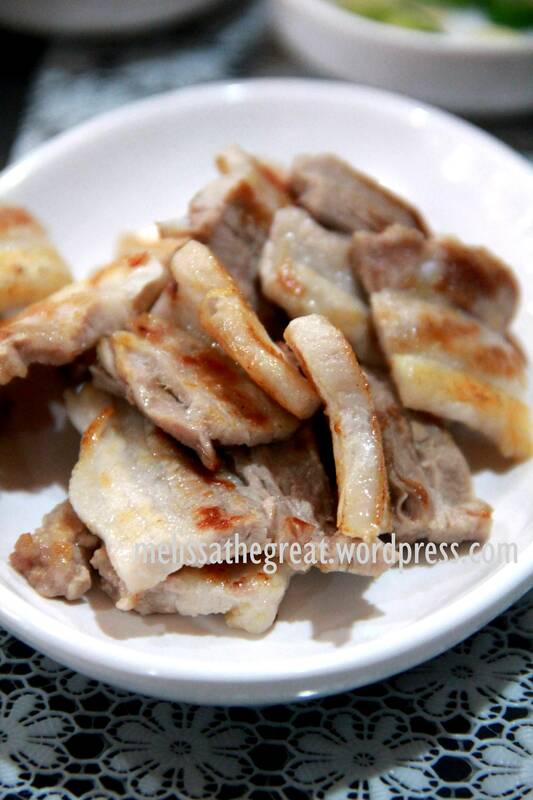 Selected cuts of pork that is soft and tender, served with seasoned sesame oil sauce. Lean skinless chicken fillets marinated in their special special soy sauce. The results after its cooked. Need not worry about getting your hands dirty or no idea on how to grill. 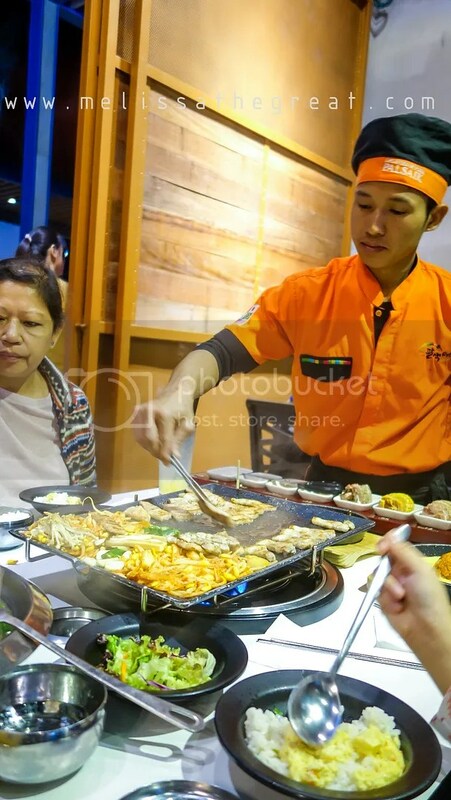 Because they provide good services as their waiter will help you to grill them. 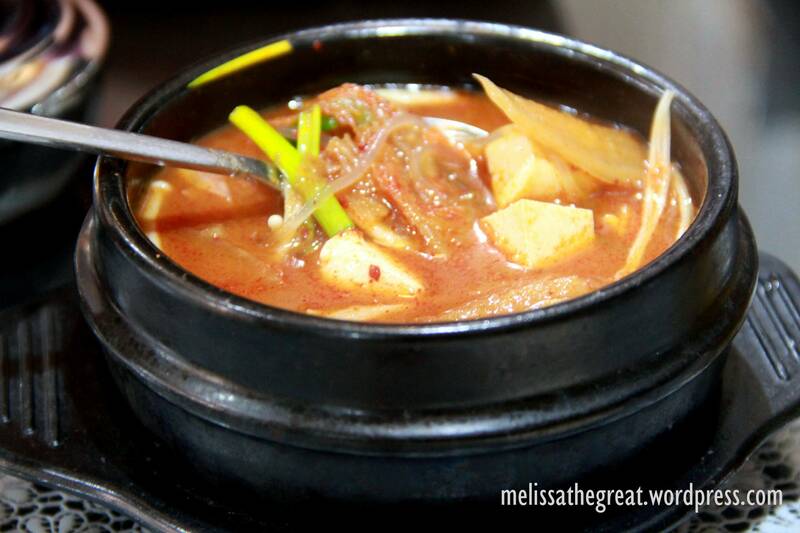 A spicy combination of pork belly, kimchi & tofu in a rich kimchi soup. Each bowl of rice are priced at RM2.50.